Out of all the years we’ve driven out to Wheaton, Illinois I totally missed so many absolutely exciting pieces of history like THE C.S. 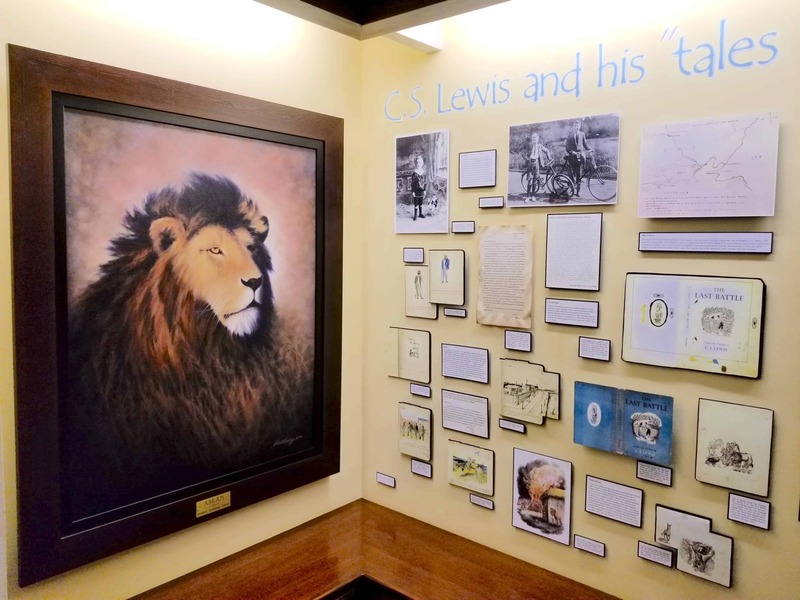 Lewis Wardrobe that inspired the Chronicles of Narnia and the original desk of J.R.R. Tolkien in which he wrote “The Hobbit” on. 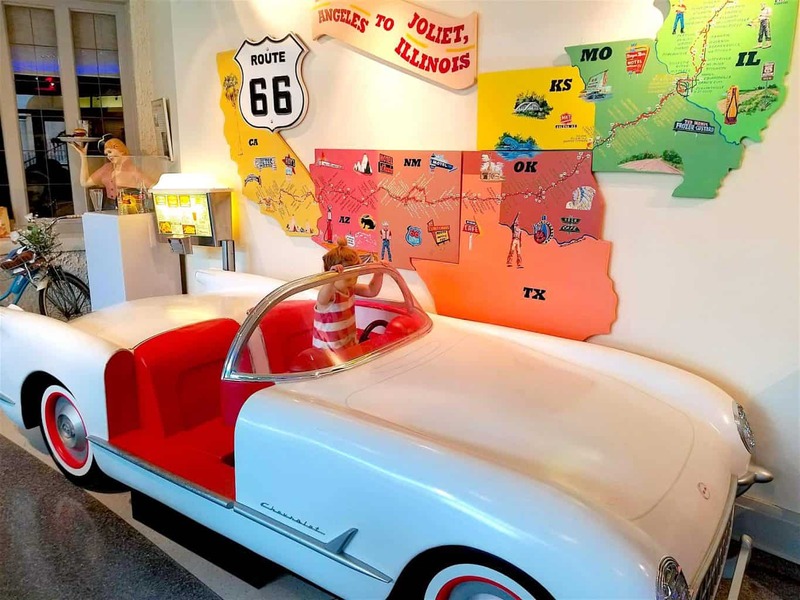 The historical things to do in Wheaton, Illinois will keep you marveling at such stunning collections! 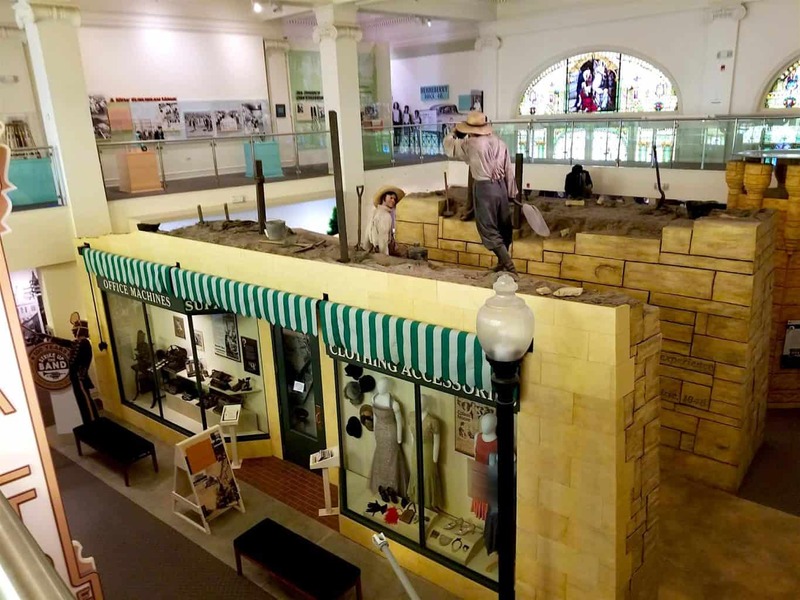 Below are some of the best historical choices in the area to visit in Wheaton! 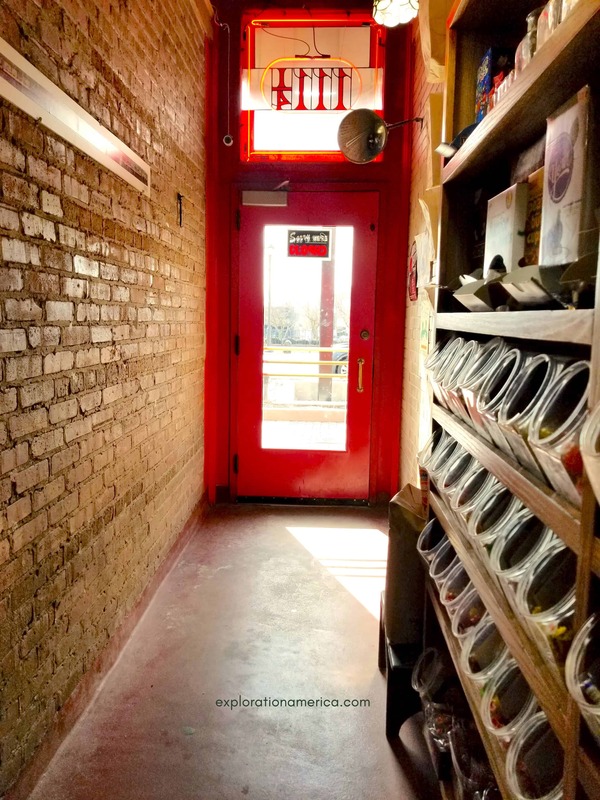 The Little Popcorn Shop – the best 4 feet wide store around! Yes – you read that correctly! The ENTIRE store is a whopping 4 feet wide by 64 feet long. Located at 111 1/4 Front Street in Wheaton, Illinois, the Popcorn Shop in Wheaton is a much beloved place for my family! My husband grew up taking special trips to this little shop, introduced me to it, and now we take our children! 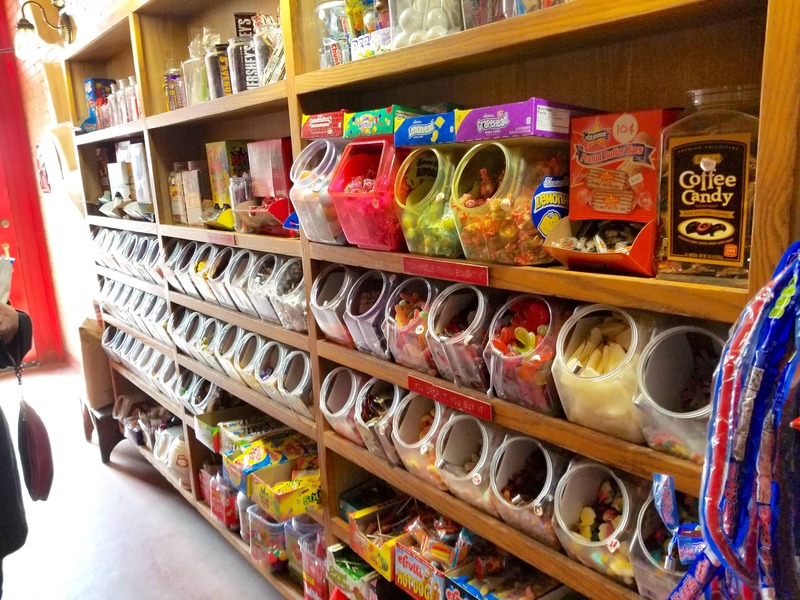 Although the store was originally opened in the 1930’s selling, you guessed it, popcorn – they also have rows and rows of very inexpensive candies! From just a nickel and up, grab a bag and fill it up with everything from sour candies to gummies, chocolate and more! 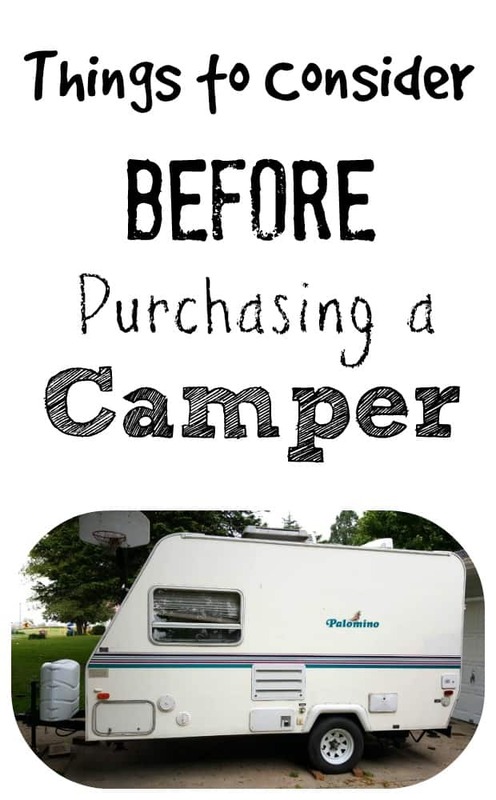 This is truly a special treat that is extremely affordable and brings my family good memories from decades ago. The popcorn is seriously the BEST I’ve ever had and there’s NO butter (which means dairy free!). You can read more about the history here. If you know anything about Wheaton, Illinios, you know many people refer to it as a “college town”. 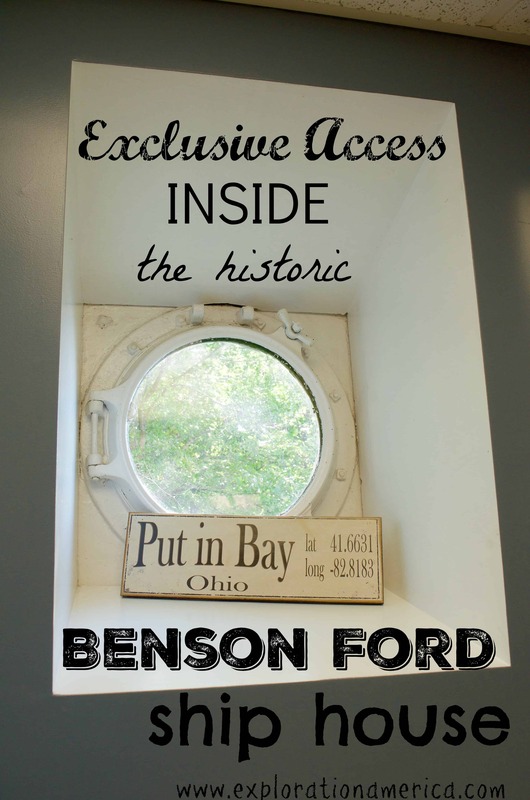 But located in a small house sized building called the Marion E. Wade center you would NEVER know by driving past that inside houses some of the most amazing literary artifacts from beloved authors. In fact we’ve been driving past this exact location for decades not knowing what was inside! Learn more about current exhibits here and even take a photo slideshow tour of the facility here. Below are just a few things I discovered. 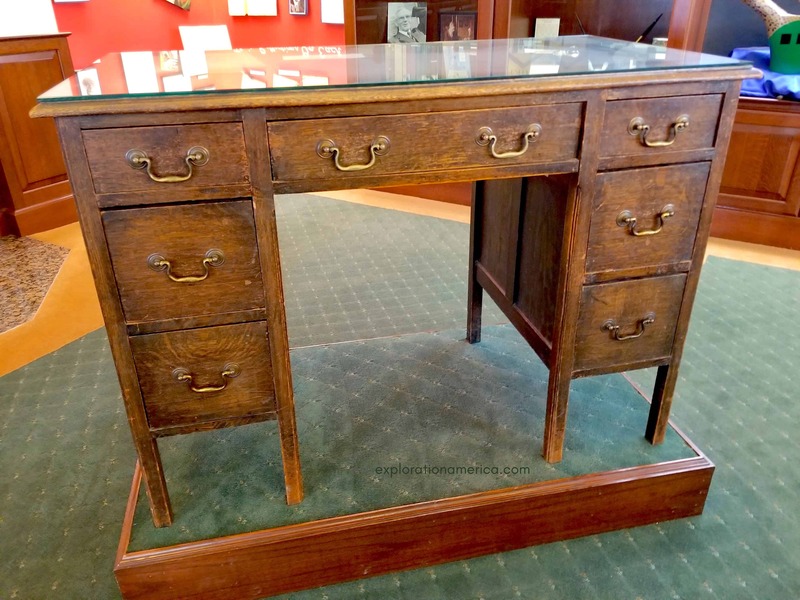 This is THE ORIGINAL desk of J.R.R. Tolkien, purchased by his wife Edith in 1927, and the spot he wrote the entire Hobbit book on as well as much of his “Lord of the Rings” series. In fact he used this desk until his death in 1971. It’s simple and unassuming but saw so much action from the words on a page. What you don’t see in this photo is that on top of the desk is a HAND WRITTEN letter by J.R.R. Tolkien (it cannot be photographed for copyright reasons). 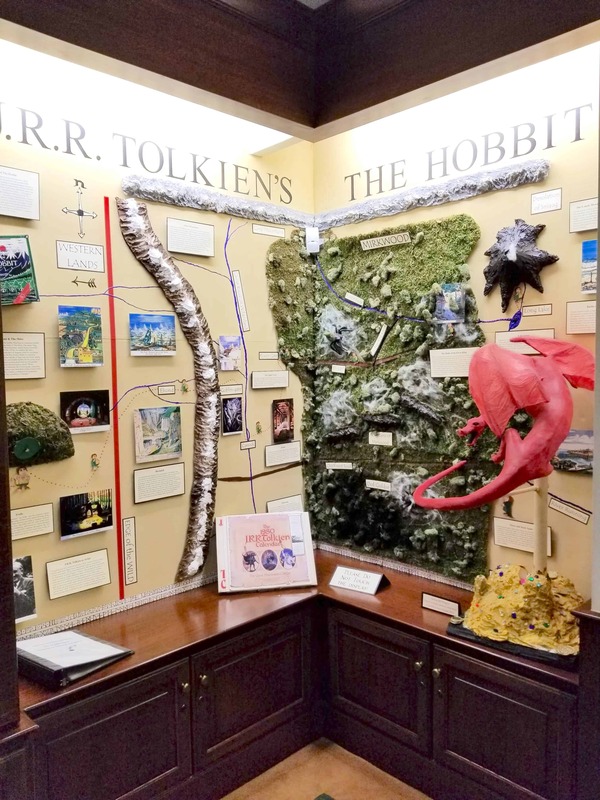 The Marion E. Wade center is filled with amazing works of art and artifacts from the life of 6 noteable authors including Tolkien, C.S. Lewis, Charles Williams, Dorothy L. Sayers and Owen Barfield. The museum is for the most part a one room exhibit but very nicely done with fabulous displays! Inside a set of glass display cases you’ll see pens from J.R.R. Tolkien, C.S. 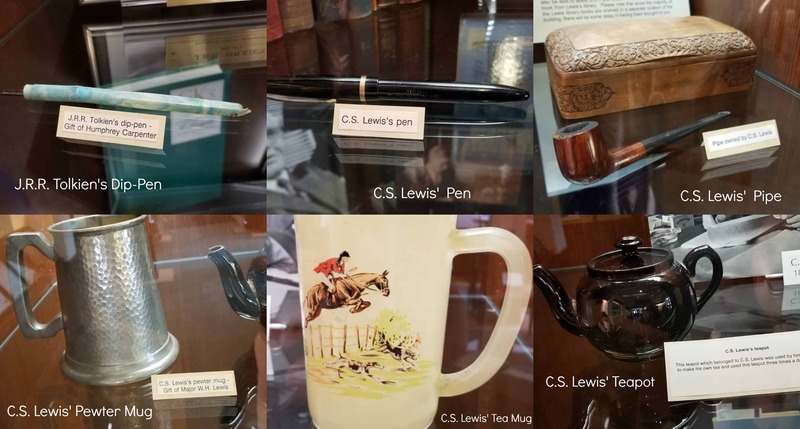 Lewis as well as other items from their life. How Did J.R.R. Tolkien Come Up with The Hobbit? Do you know the history of how The Hobbit was inspired and came to be? I didn’t even though evidently it is a famous one! Around 1930 on a hot summer day J.R.R. Tolkien was grading exam papers as a side job to earn some money for his family. One of the students had left a page blank and Tolkien said “….so I scribbled on it, I can’t think why, ‘In a hole in the ground there lived a hobbit. '” He later decided to find out what hobbits were and thus began his journey of inspiration to write “The Hobbit”. Growing up nothing brought more imagination to mind that the story of Narnia in C.S. Lewis’ “The Lion, the Witch and the Wardrobe”. I’ve seen dozens of plays, movies and adaptions of this classic tale. 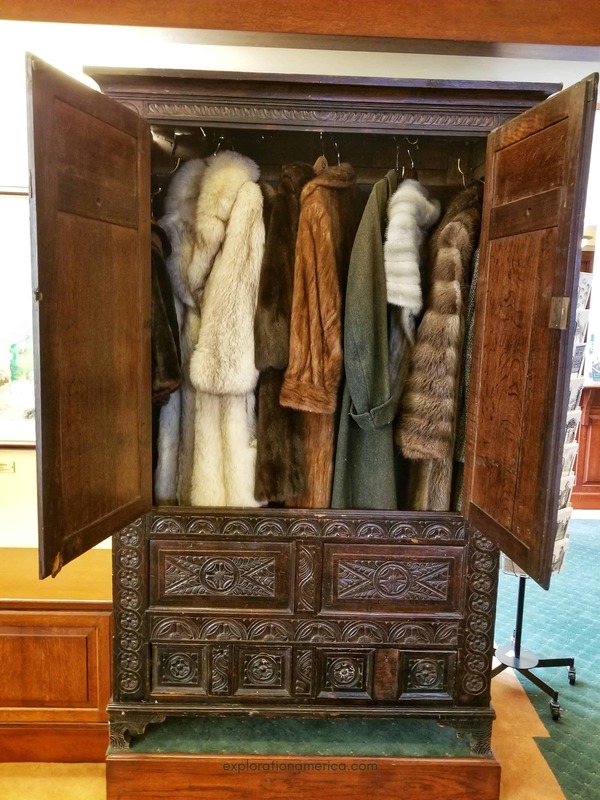 So to not only see but touch THE wardrobe that inspired the amazing creation of Narnia just left me breathless! Typically in museums historic artifacts are locked away with plaques asking patrons not to touch anything. So imagine my surprise when the lady that was monitoring the museum not only excitedly ushered us over to the wardrobe but she opened it, grabbed coats out to hug (one belonging to his grandfather! ), and left the wardrobe open for us to close ourselves! This wardrobe was actually handmade by Richard Lewis, C.S. Lewis’ grandfather, in the 1800’s. When Lewis was a child in Belfast, Ireland, he used to crawl inside and play – imaging all sorts of stories! He used to sit inside the wardrobe with this brothers and cousins and tell them adventurous tales which is likely where his career and love of story telling began! Also on display in the exhibit is his dining room table and a chair along with his desk, pen, teapot, and other personal items. This is the desk that C.S. Lewis used while teaching at Oxford University. Also on display are hand written letters by C.S. Lewis as he used to correspond with anyone who wrote him! Located in the archives in the basement of the building are over 2500 pieces of work and other articles by C.S. Lewis making it one of the largest collections available anywhere! 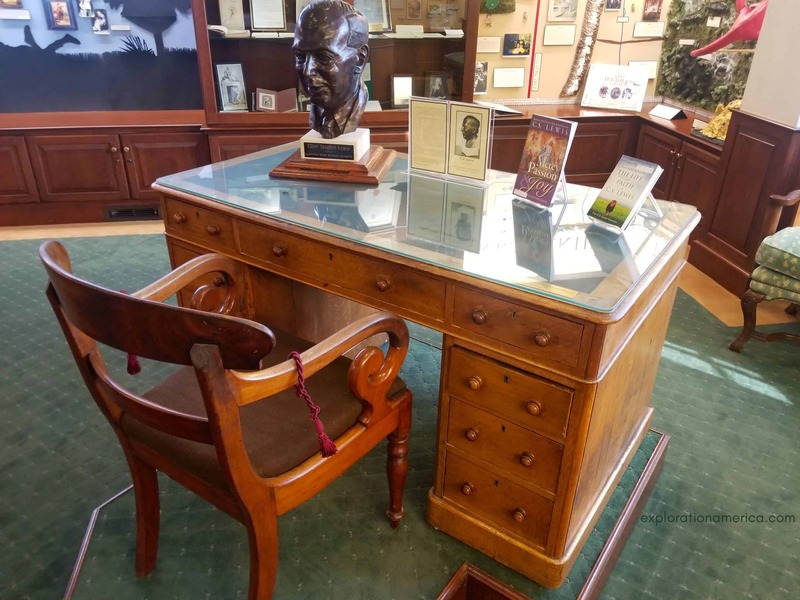 Although the archives are not open to the public the Marion E. Wade center has a “Reading Room” where they will bring you anything that you would like to see from the archives! 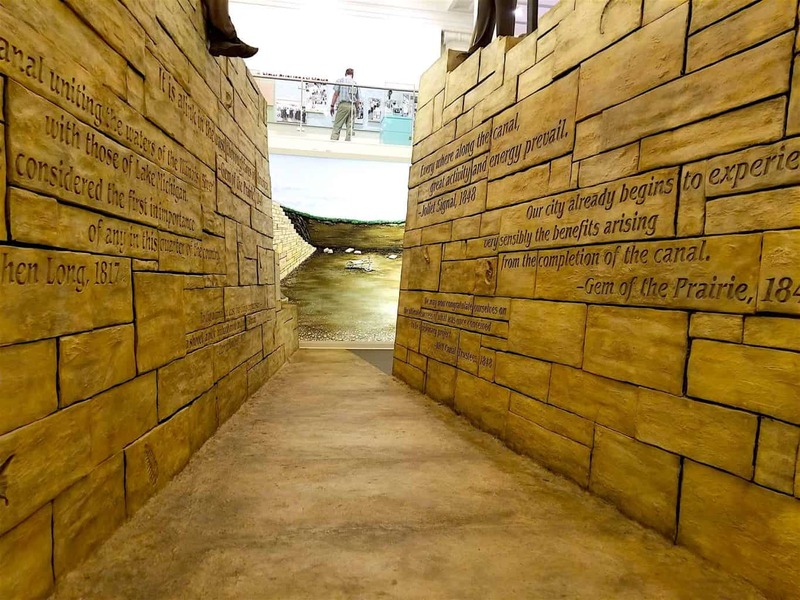 The displays in the museum are fantastic and give incredible insight and history into many of our beloved stories and authors. 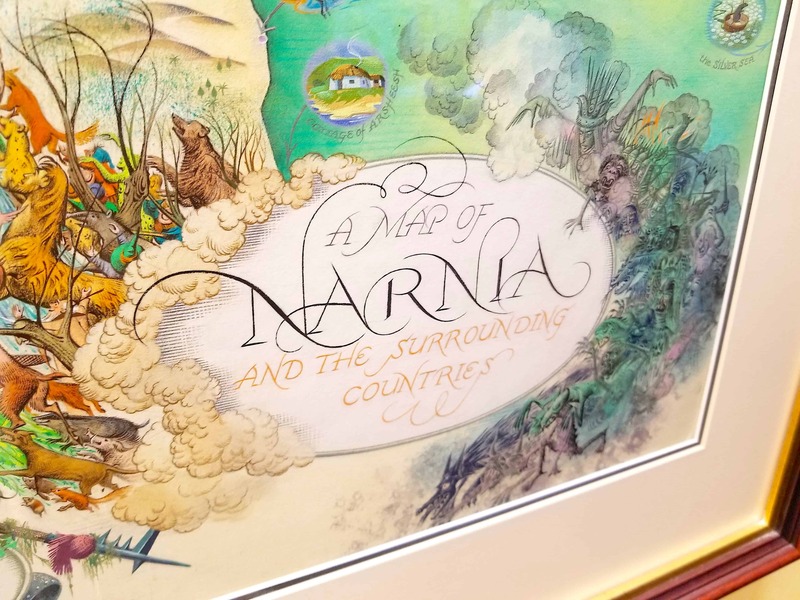 On the wall is a copy of the original hand drawn map of Narnia by C.S. Lewis, but even more impressive is this original piece of art that C.S. Lewis first had commissioned in color of his creation of Narnia. For copyright reasons I am not displaying a photo of the map in its entirety but you can see by the impressive colors and details that the map is just astounding and SO LARGE!! 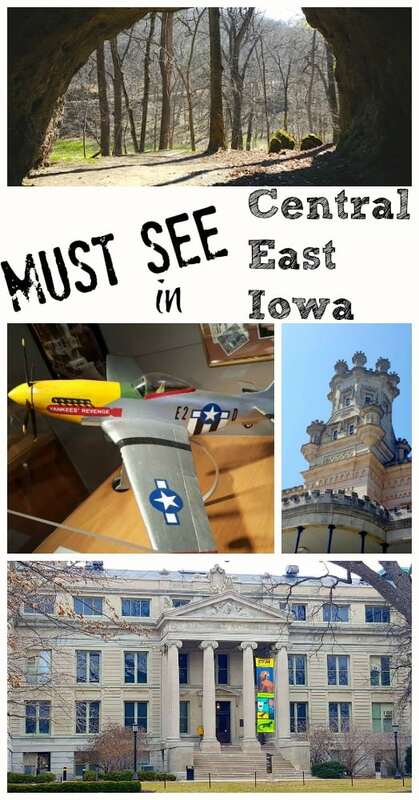 *The Marion E. Wade center is completely free to visit! They have a very small “store” of objects for purchase to help support the center and free events on a regular basis to attend on the authors. 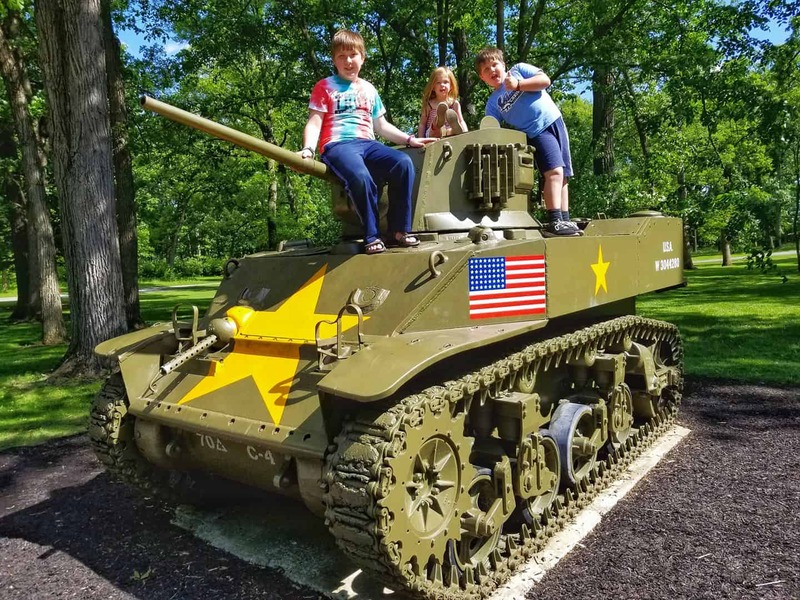 If you’re looking for a fantastic family activity after you’ve visited The Little Popcorn Shop I HIGHLY recommend heading over to Cantigny Park for the day! Whether you have an hour or 6 hours – you won’t regret your time spent at Cantigny. 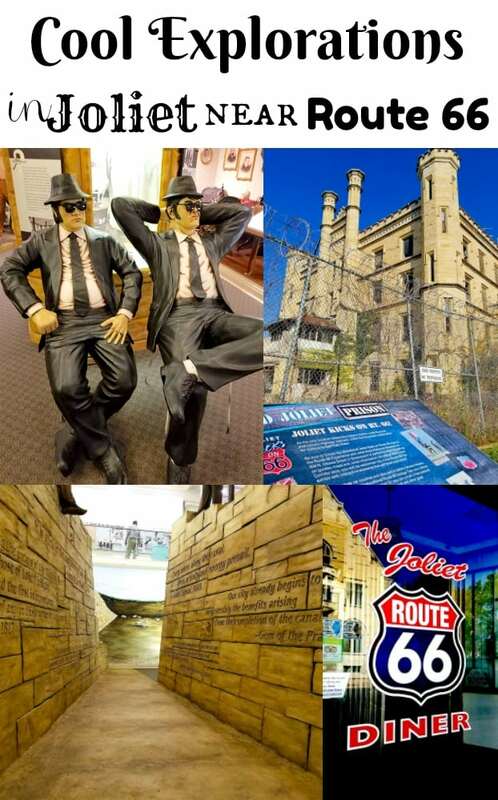 With over 500 acres to explore, you’ll find stunning gardens, playgrounds and picnic areas, geocaching, the home of Robert R. McCormick (Chicago Tribune editor and publisher) as well as the impressive First Division Museum which tells the history of the U.S. Army’s famed 1st Infantry Division. Admission to the park is always free but there is a $5-10 parking fee depending on the day. In front of the First Division Museum is a stunning display of military tanks for children to crawl on and learn about. One little blurb on this site isn’t nearly enough to explain a full day of beauty and historical significance here so just trust me when I say you’ll need to plan a day at Cantigny. It is that time of year again!! 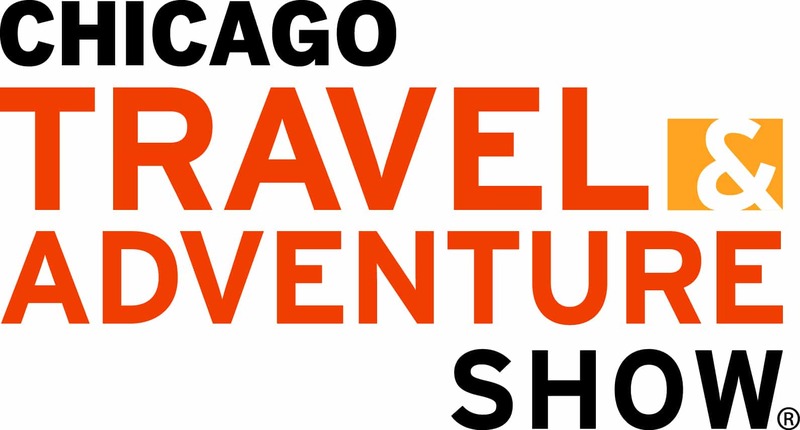 The Chicago Travel & Adventure Show is coming to the Donald E. Stephens Convention Center on January 12-13, 2019! This will be the second year I attend and I can hardly wait! Last year my plan was just to go enjoy the experience and this year I’ve got a better game plan! The exhibitor list line up is fantastic! AND you can even apply for your passport there! In addition to amazing counties, states, countries and brands represented you’ll also see top travel experts and celebrities including Samantha Brown, Pauline Frommer and Rick Steves. AAA is the official Travel Agency Partner for the 2018 Chicago Travel & Adventure Show. 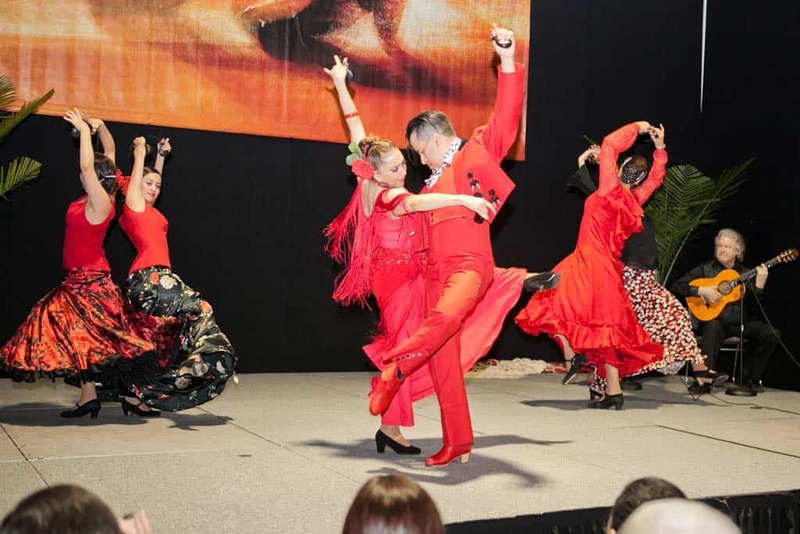 Supporting sponsors include Rick Steves’ Europe and FL Keys & Key West. For more event information and to buy tickets visit here. 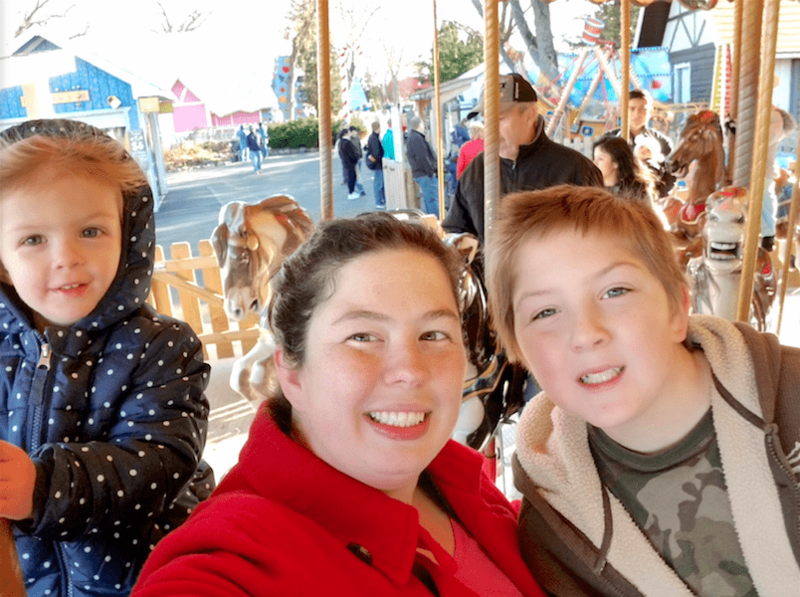 Last year we visited Santa’s Village Amusement Park for the first time, and they invited us back this year for their Magical Christmas Days! December 15-16, 2018 is their LAST event of the year so you don’t want to miss out! 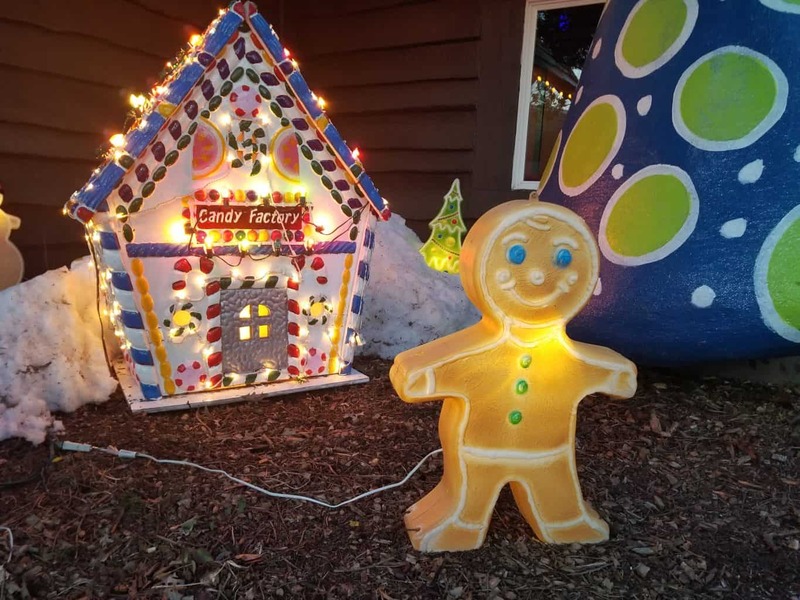 You’ll see almost half a million Christmas lights and experiences for kids to enjoy are all over the place! 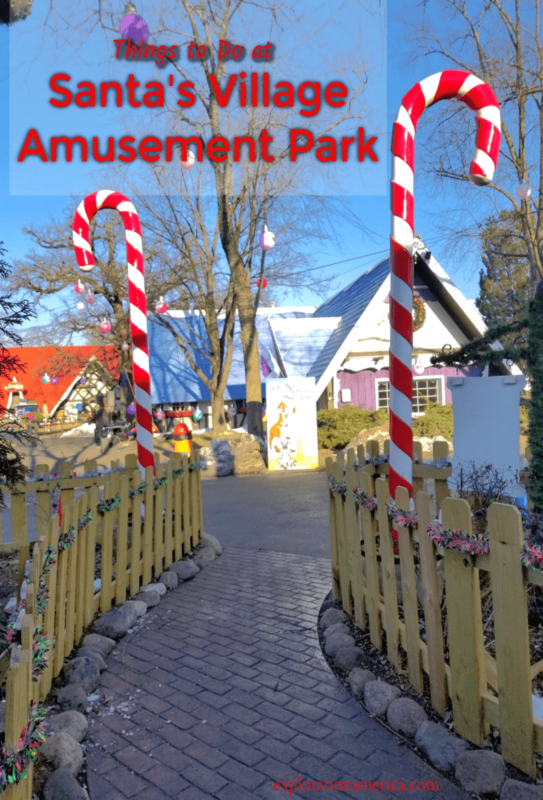 Below are just some of the things to do at Santa’s Village Amusement Park in Illinois! 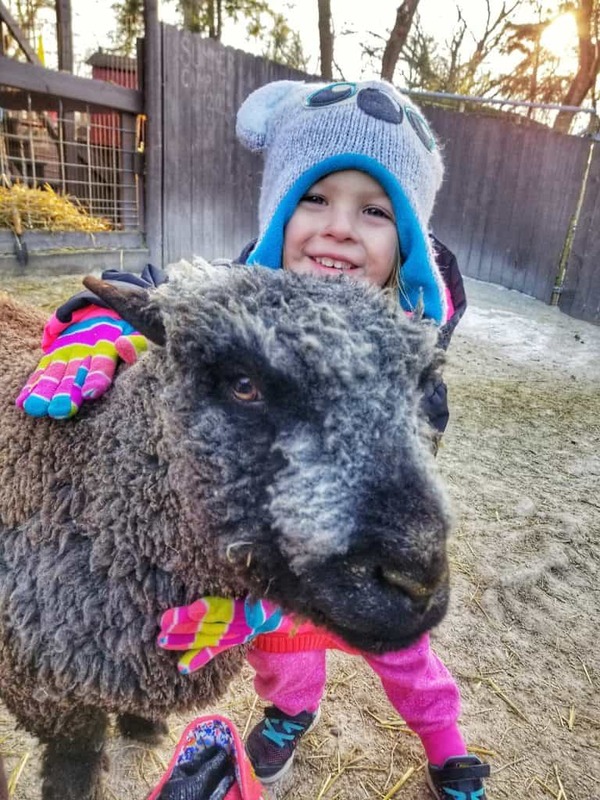 Santa’s Village has a fabulous petting zoo (Old MacDonald’s Barn) with all sorts of animals that you can feed, pet, hug, and just enjoy! Inside the barn area is also a nice place to go to get away from the cold wind in the winter! You’ll find porcupines, wallabies, capybaras, a skunk, donkeys, goats, sheep and more! The animal feed is $3 per cup and $1 for refills so make sure you bring a few bucks for this! In additional to Old MacDonald’s Barn there is also a Deer & Wildlife Park trail you can walk and feed the deer! Bring quarters for the food stops or use your feed cup from the petting zoo area! This trail also provides a less stimulating sensory experience if you have kids that need a little space to run. There are over 200 animals in the park! As you know our family is huge animal lovers! If there is ever a hands on opportunity to be with animals – we’re there! Parakeet Paradise Aviary is the warmest spot in the park and right next to the restrooms. 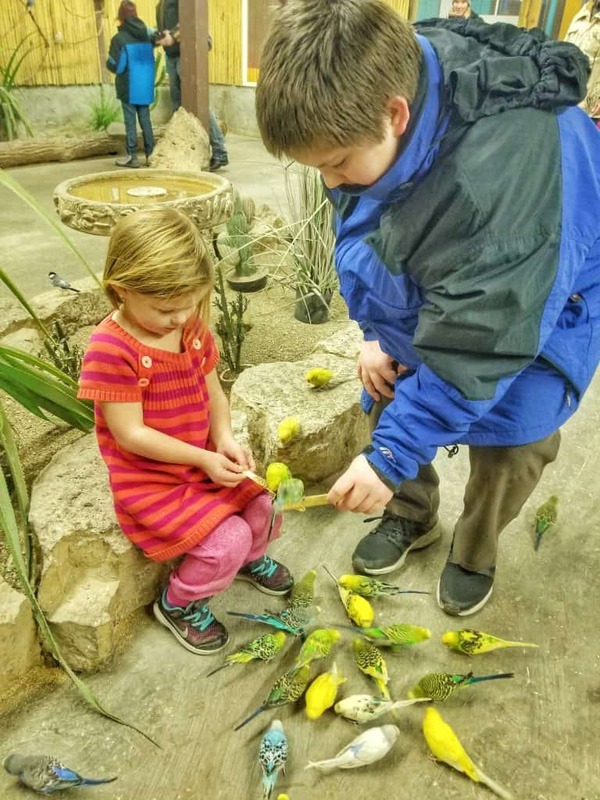 We’ve been to parakeet aviaries all over the country and the one at Santa’s Village is by far the most active and exciting! Birds will flock to you in a hot second if you have a feed stick so if you have a child who is frightened by birds I recommend keeping them in the corner where no one is feeding birds. Feed sticks are $2. Additionally there are various animal yards integrated inside the theme park like Caribou Crossing, Frosty’s Friends, Tortoise Island and more. 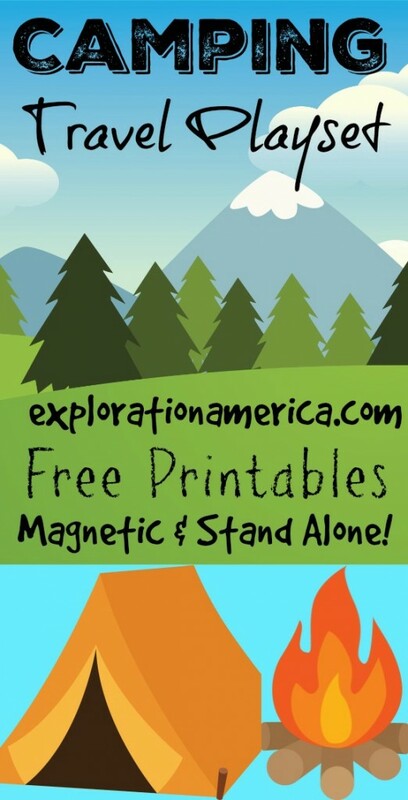 I LOVE the mixture of wildlife and entertainment for families to enjoy and learn more about! There are educational facts and placards to learn about the different animals you will meet. Some of which are a Kookaburra, bob cats, red foxes, peacocks, cavy, muntjacs, and others. Last year we featured the death-defying “treehouse” playground that my kids ADORE. It’s a fantastic adventurous spot in the park for kids to run off a little steam and take photos – right by the bathrooms! Very nice for when others in the family are using the potty! 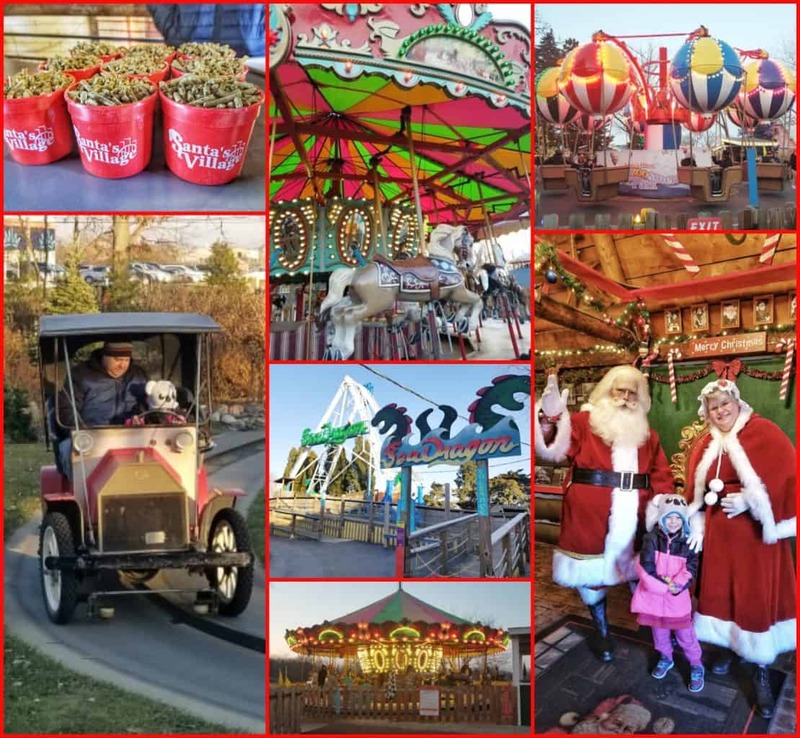 In 2018 Santa’s Village celebrated the holidays with Magical Christmas Days. It was wonderful! There was live entertainment (and they were GOOD! ), campfires and heaters set up, and almost half a million lights twinkling to make the evening more magical! Different areas of the park were set to Christmas music in coordination with the lights. There were lights on the theme park rides, lights in the trees, on the buildings, and even creating a canopy overhead between the trees! It was beautiful! Santa’s Village does a really good job of offering rides for different ages to enjoy. 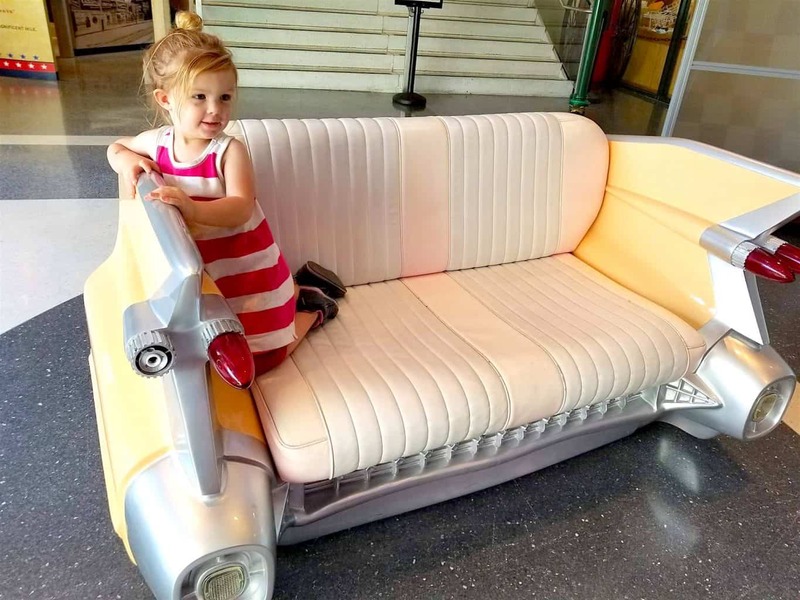 They are not all kiddie rides, and not all older kid rides – there’s a nice mix. Since my boys are older they can separate from us and go ride the older rides while we take our 4 year old on the other kiddie rides. And there are of course rides we can all ride together like the Tilt-a-Whirl and the carousel! 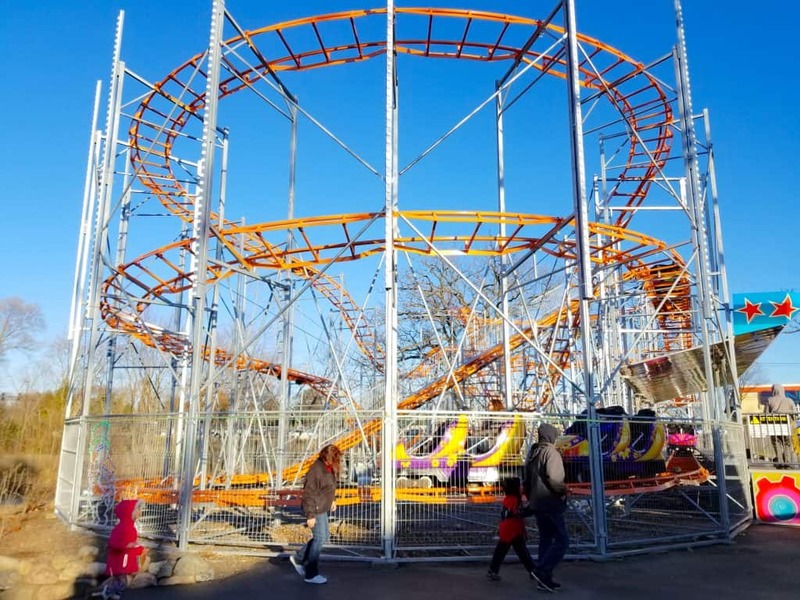 There are two different roller coasters (a kiddie one and one for older kids & adults), hot air “balloons” we can all ride, Viking Sea Dragon, train rides, spinning “Snowballs”, side winders and more! Drive a car! Not once, not twice, but 3 times! 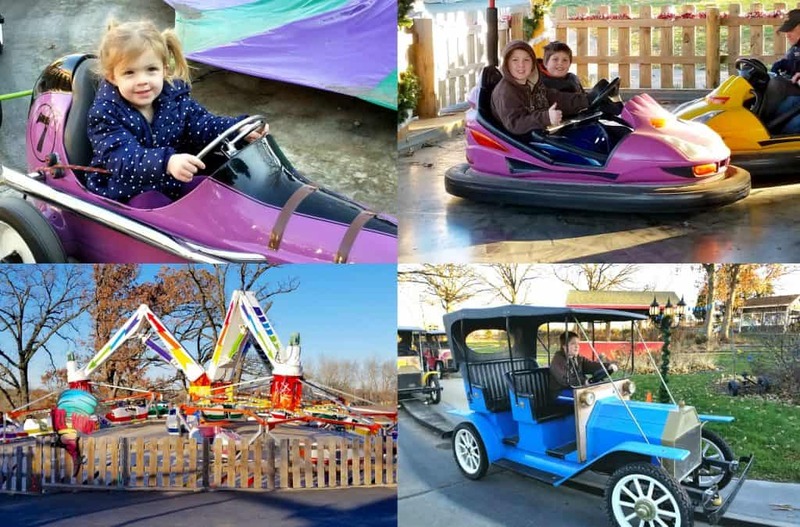 Because we have children that range from age 4 to 11 we know there will be height requirements at each ride that will affect which kid gets to ride (or drive!) what! My boys favorite “ride” are the bumper cars (minimum 42″). They spent hours there! Jed’s Antique Country Cruisers is one of my personal favorites because you get to “drive” a classic stagecoach looking vehicle on a really long track. Even my 4 year old could sit in the driver’s seat!!! Talk about a WOW THRILL for her! There are also classic kiddie cars that little ones can “drive” in a circle. Although we missed them this time, Santa’s Village also has an Exotic Animal Show and Sheer Magic Show. You may also spot Princess Tinselbella wandering around too! We saw her last year and my daughter spent the whole day watching for her throughout the park! Visit with Santa Claus AND Mrs. Claus! 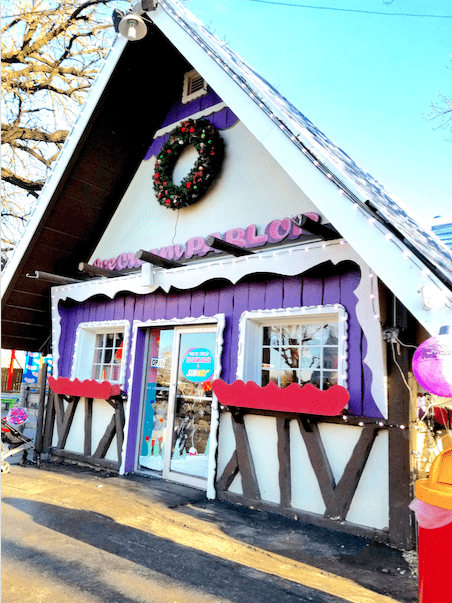 The VERY first place you walk by when you arrive in the park is Santa’s Hut! This is a special magical place decorated to the hilt and truly a special spot for anyone who believes in Santa. On the side of the hut is the fantastic bench you see above for resting and photos. Or hop in line and be invited inside Santa’s hut to meet him and Mrs. Claus. What I LOVE is that your family is the ONLY ones in the hut with Mr. & Mrs. Claus. It’s quiet, there are no distractions, there’s no rush, and Santa does a fabulous job spending time with just your child. My daughter was SO excited to see Santa, but was quite shy and timid once we made it inside the hut. Santa didn’t miss a beat and kept the conversation rolling. Definitely the best Santa I’ve come across! He had me believing he flew straight down from the North Pole just to be there that day! Look at this photo of my daughter with Mr. & Mrs. Claus! Shop in the Christmas Gift Shop! Check out Santa’s Village here! Last summer we moved to a tiny town in Illinois. Population 1000. As you can imagine there are not too many attractions in my town so I do a lot of exploring in nearby areas. One day I drove past this diner with a train railcar sitting literally RIGHT off the road. There is a sidewalk separating the edge of this rail car and the street. I HAD to know more about this little diner and WOW was I in for a treat! You HAVE to be sitting down to hear this story. 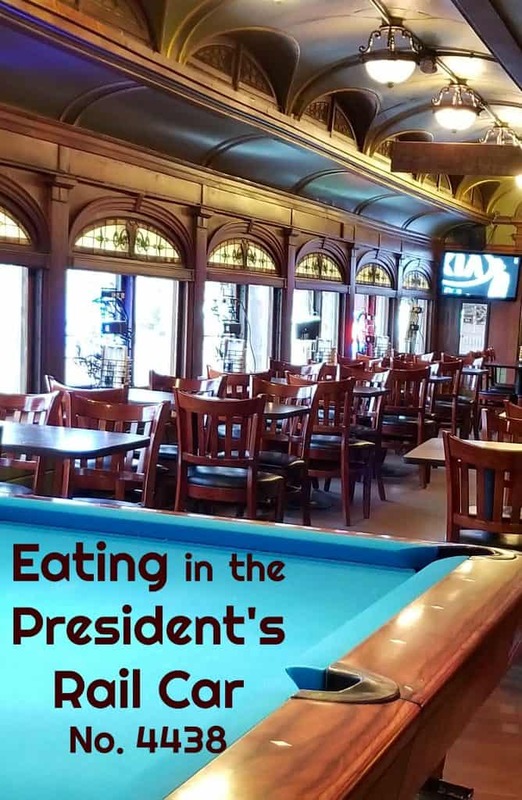 The Bull Moose Bar & Grille in Sandwich, Illinois has a surprising presidential history behind it. Sandwich – a funny name for a town isn’t it? Population 7358. And nestled right in this little town sits the railcar once commissioned for the president of the United States. It was used by President Teddy Roosevelt from 1900-1913. 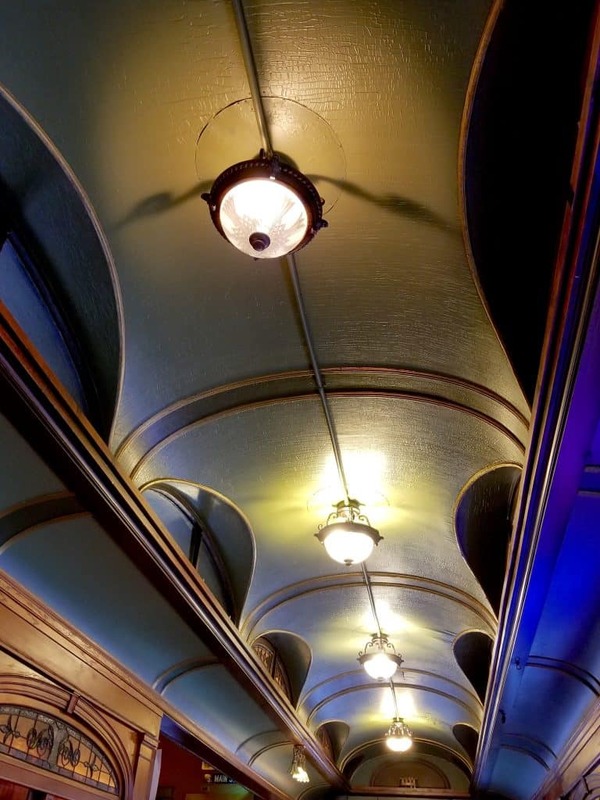 This beautiful railcar lined with mahogany wood and stained glass windows was affectionately named Isabella. As President Roosevelt was giving a speech one day an assassination attempt was made on his life and he was shot. Shot right in the chest! Despite a bullet lodged in his chest Teddy Roosevelt finished his speech before heading to the hospital. At the hospital he declared “I am tough as a bull moose! I will continue this campaign.”. And this is how the Bull Moose Bar & Grille got it’s name! This gives me chills every time! What an INCREDIBLE story! You can read the full history here. The Isabella eventually was retired and sold at a government auction in 1931 to Henry Tattersol for just $75! He had dreamed of opening a diner using the train car No. 4438 so he had it moved to Sandwich, Illinois right on Route 34 and it’s been sitting there ever since! 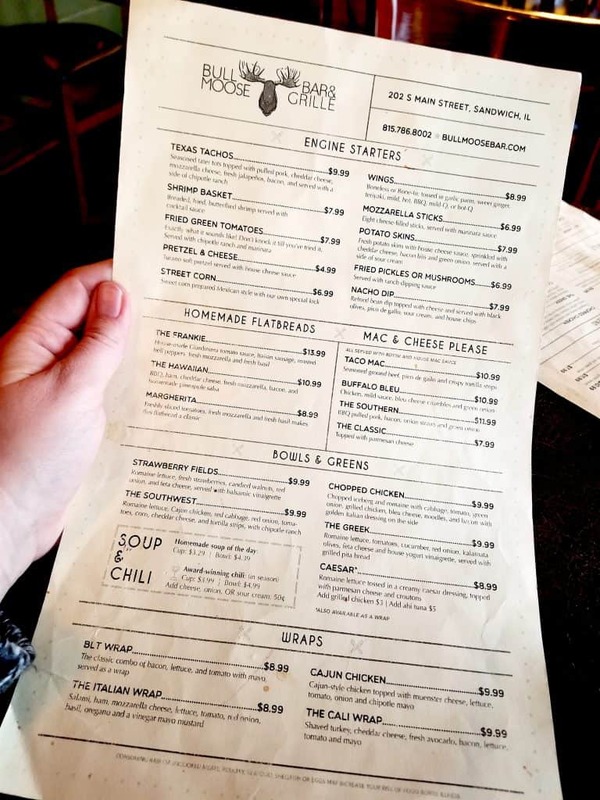 After finding out all of this history I was determined to visit the Bull Moose Bar & Grille as soon as possible regardless of what the food tasted like. I just wanted to sit in the same rail car as Teddy Roosevelt. But HOLY SMOKES – their food is AMAZING! I’m salivating just thinking of it! I’d eat here every week if I could! If you’re ever anywhere near Sandwich, Illinois this is an absolutely MUST GO restaurant!!! Not only will you be dining in history but you’ll have a fabulous meal to go with it. 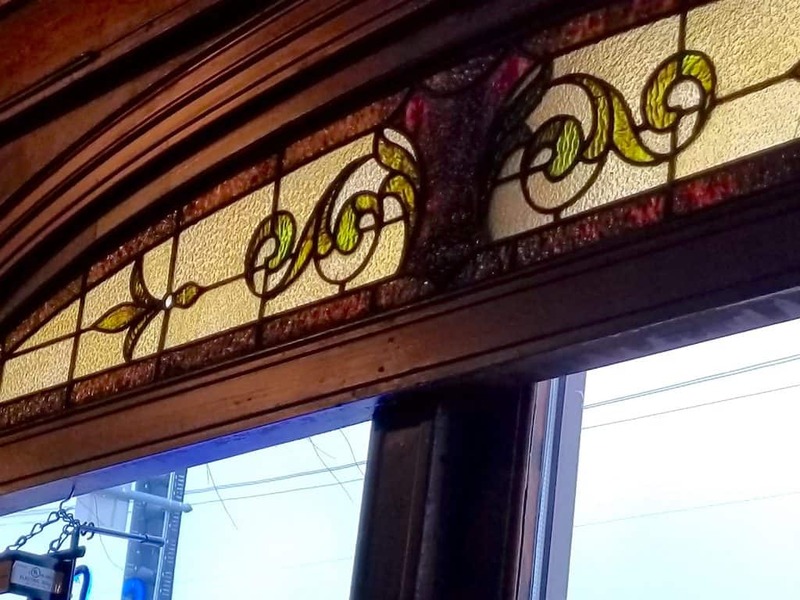 Not too far away in Wheaton, Illinois you can see the original wardrobe that inspired C.S. Lewis’ “The Lion, the Witch and the Wardrobe” series as well as J.R.R. Tolkien’s desk that he wrote The Hobbit on! Check out our post here! 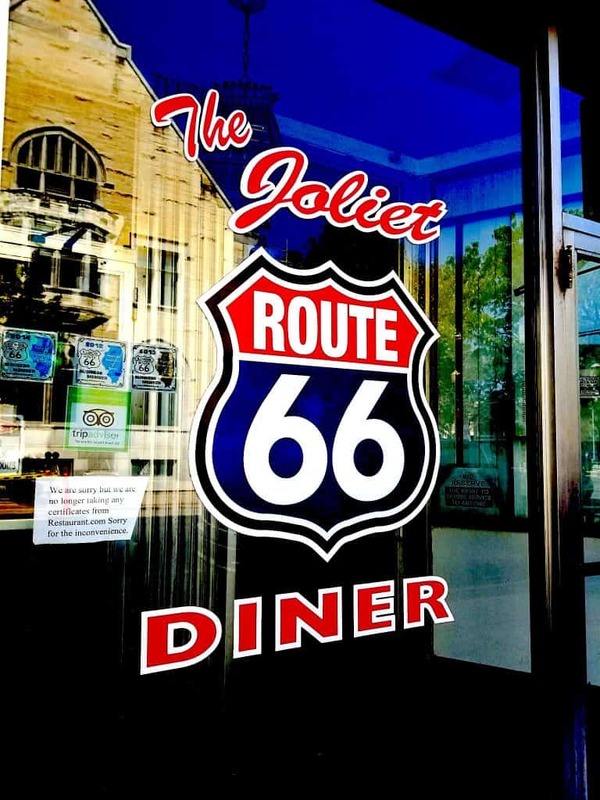 Explore ruins, an abandoned prison, and more on Route 66 just a half an hour away from Sandwich here! 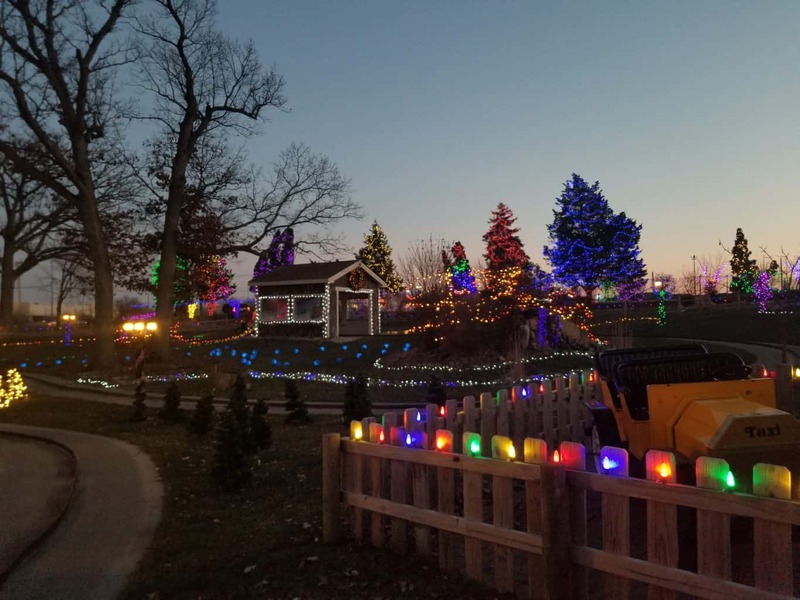 Where to See Santa’s Village Every Day of the Year in Illinois! Seeing Christmas through the eyes of a child is so exhilarating – and to be able to see that ALL YEAR LONG – that’s so incredible! 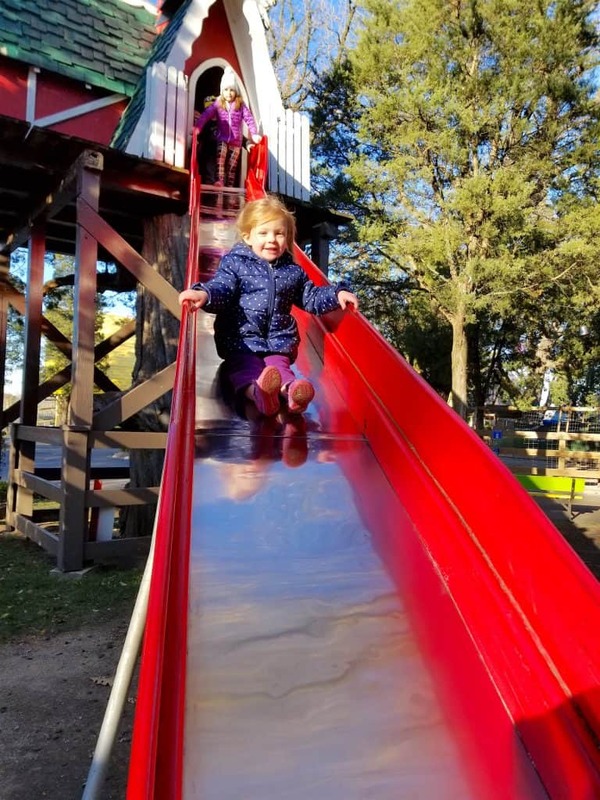 My daughter just turned 3 years old so when Santa’s Village Azoosment Park in Dundee, Illinois invited my family to come out to the park for the day I knew all of my kids would go CRAZY over it! Not only did my 3 year old love it because there are animals (OVER 200 in fact!) and she could of course see Santa and Mrs. Claus – but there are at least 22 rides including some pretty good sized coasters for my older boys, ages 8 & 10. It was a solid good day of fun for my family. As you would imagine in a place called “Santa’s Village” everything is winter themed! How adorable is this “gingerbread house”?! The prices for food and drinks was reasonable and thankfully they had plenty of warm options. We shared a hot ear of corn which was FANTASTIC! They had a whole seasonings bar set up next to the food area. So let’s talk rides a little bit- throughout the park there are height measuring areas so that you can measure your kids. Every ride has different height requirements but I found that from open to close there were plenty of rides to keep all 3 of my children busy. However, it made it a LOT easier to have my boys either stick together or stay with an adult so I could take my 3 year old on the “kiddie” rides. The park itself isn’t terribly huge and rides are close together so if you have older kids they can pretty much tend to themselves. Santa’s Village Azoosment Park really knew what they were doing when they made their ride choices for the park! All 3 of my children (ages 3-10) were able to “drive” their own vehicles which is pretty big for independent kids. All 3 had “scary” rides to go on to make their stomachs drop and give them a rush. And there were plenty of rides that I could either go with them or they could go on their own. 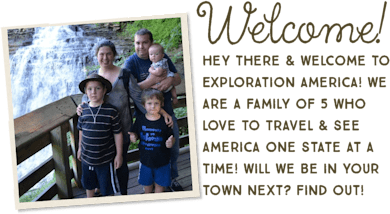 It’s a REALLY well-rounded park with a LOT of options which is really important to me because my children are very adventurous but span quite a few years between their ages. Throughout the park hiding between rides and lining the walkways were animals of all kinds! 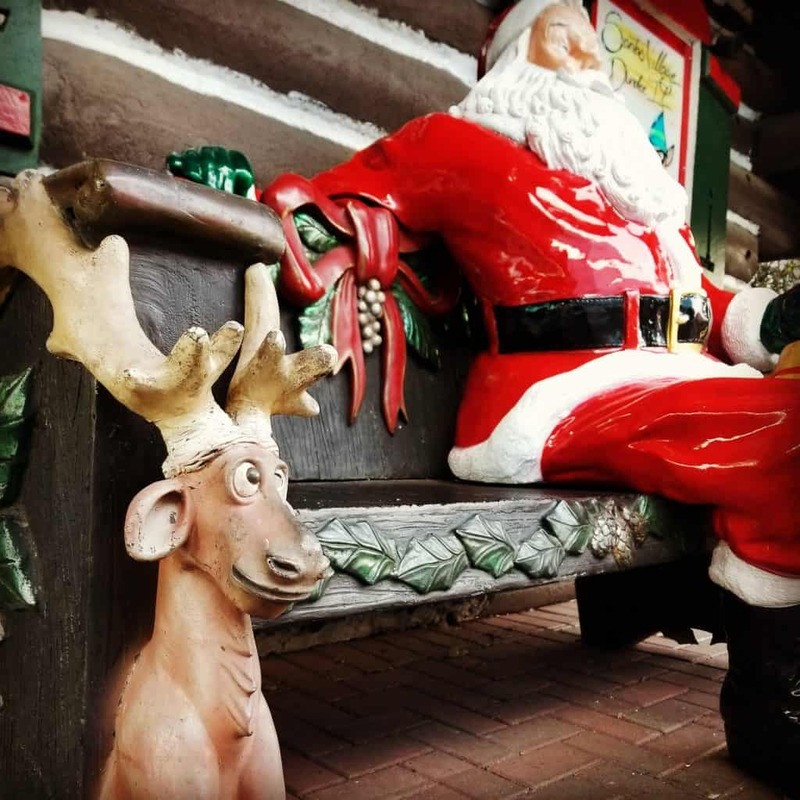 We are a huge animal loving family and I was pretty impressed with the variety of animals Santa’s Village has! It’s not just your typical farm animals! And when we got a little too chilly we spent some time in the Aviary feeding the birds (all rides in the park are included with admission but feeding the animals is a few bucks extra) and in Old McDonald’s Barn. We pet baby water buffalo, plenty of deer, goats, sheep, rams, and saw a kookaburra, porcupines, tortoises, a capybara, wallabies (even white wallabies! ), and plenty of other animals. The petting zoo was a pleasant surprise tucked in the corner of the park! There was even a “death defying” tall treehouse with a (really safe actually!) looooong slide that my 3 year old just couldn’t stay off of. The gift shop is decorated to the HILT with holiday decor and gifts – how gorgeous is this Christmas tree?! My husband was supposed to come with us but ended up in bed extremely ill so I took grandpa along to help watch the munchkins and he even climbed up on the carousel horse! Honestly it was a fantastic day full of memories from little ones to older folks. There are enough rides to keep your youngest ones busy for the entire day and the park has PLENTY of room for strollers of any size. UM – and I wish we had waited to put our Christmas tree up because they had tress you could buy there too!!! 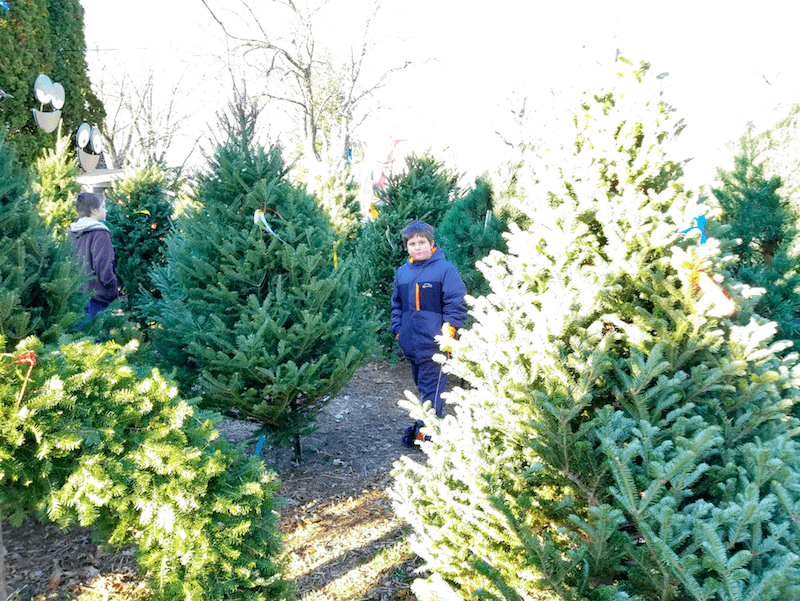 That would have seriously topped off an already magical day to bring home a Christmas tree from Santa’s Village! 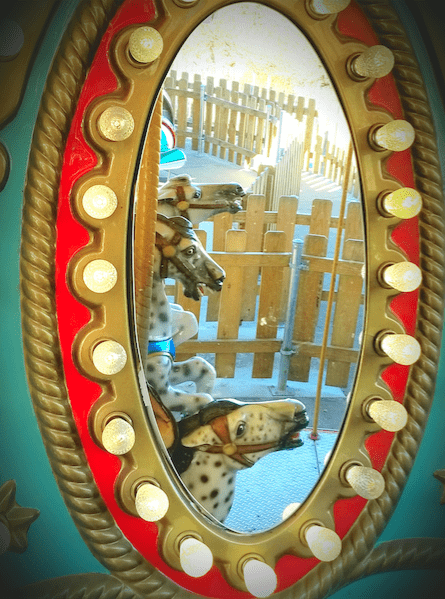 OK – so this photo was just for fun that I snapped while on the carousel! You can find prices, accommodations, and hours of operation here on their Plan Your Visit page. You CAN rent wheelchairs and wagons in the park and of course there are lockers near the front if you need to store things. You CAN bring your lunch with you although check the restrictions before you go. 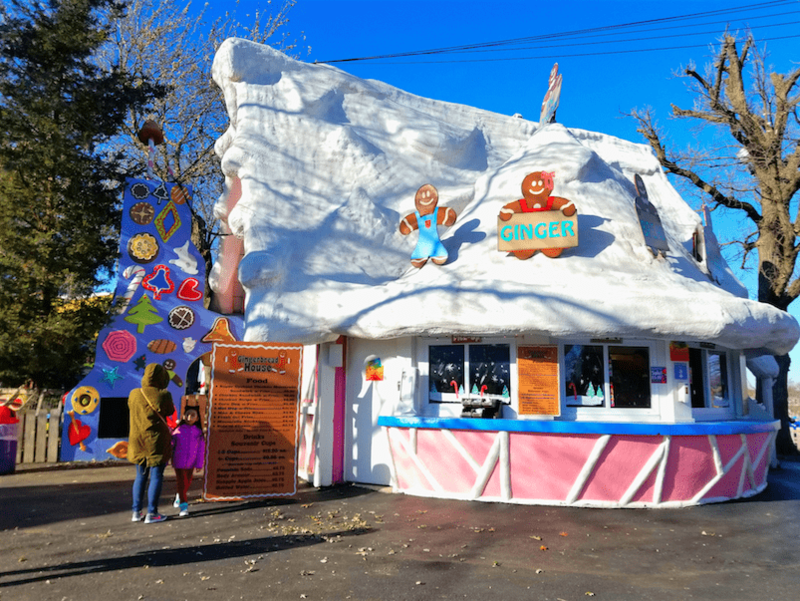 But I highly recommend the hot apple cider donuts, funnel cakes, deep fried oreos, and hot corn if you want to splurge on something delicious! 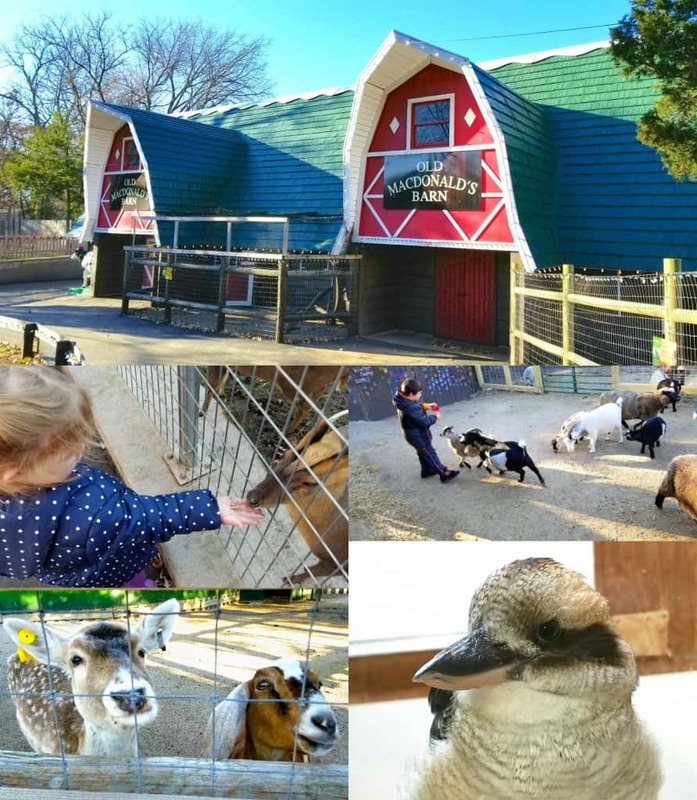 Santa’s Village Azoosment Park has summer Critter Camps, offers birthday parties, and even a SWEET “Reader of the Pack” program for schools where kids can get a free admission ticket for completing reading assignments! 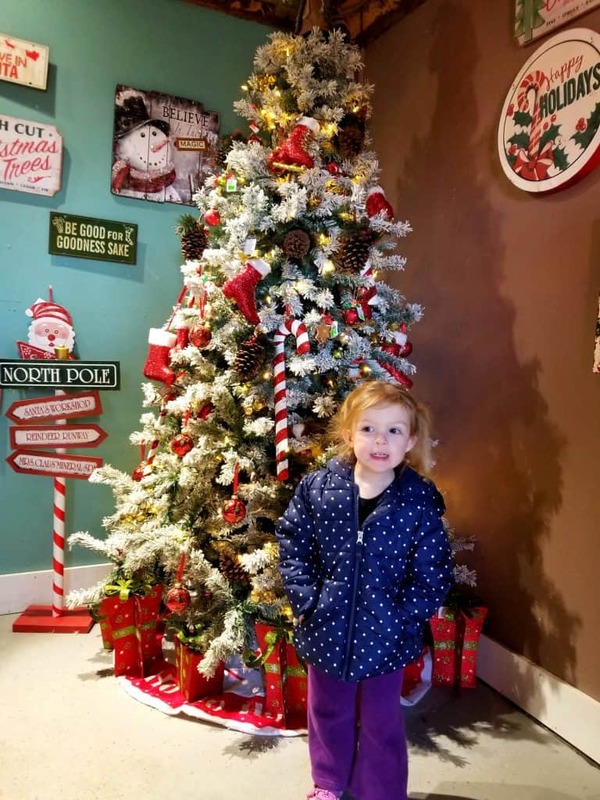 I HIGHLY recommend Santa’s Village if you’re looking for an easy family FUN day to have a BLAST at and make memories together! If you’re going during Magical Christmas Days make sure to pack some gloves and a winter hat along with your jacket! Follow us on Facebook at Exploration America or join our weird travel group at Stranger Travels USA! A special thanks to Santa’s Village Azoosment Park & Explore Elgin Area for inviting us to come out for the day! Don’t be afraid – take a closer look at Nightmare on Chicago Street! 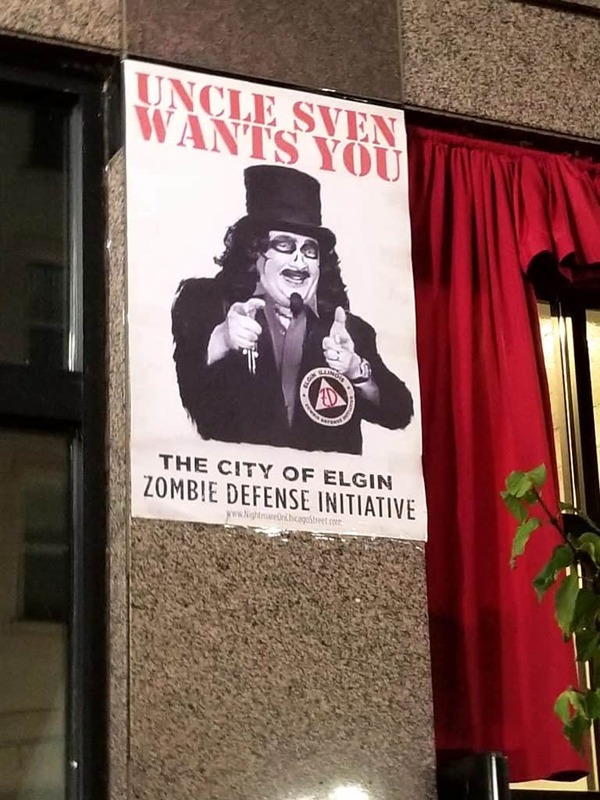 Thanks to the Elgin Area CVB in Illinois – they sent us 2 tickets to attend Elgin’s Nightmare on Chicago Street this past weekend and BOY was it a cool experience! I’ll share with you in this post everything you need to know from parking to gate entrance, kid/family appeal or horror, all of it! As a first timer I found the map of the event very helpful but I had a hard time finding much more details so that I knew what to expect. This post will help you out with all of that! 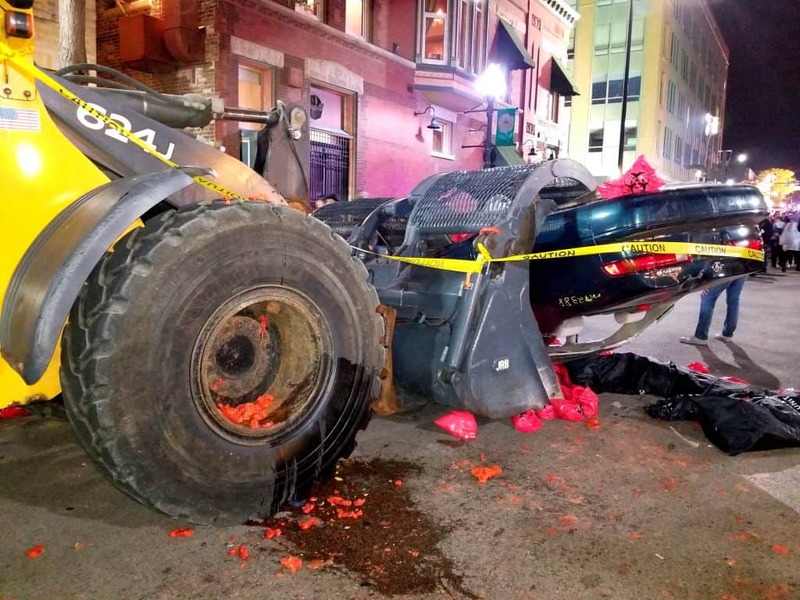 What is Nightmare on Chicago Street? 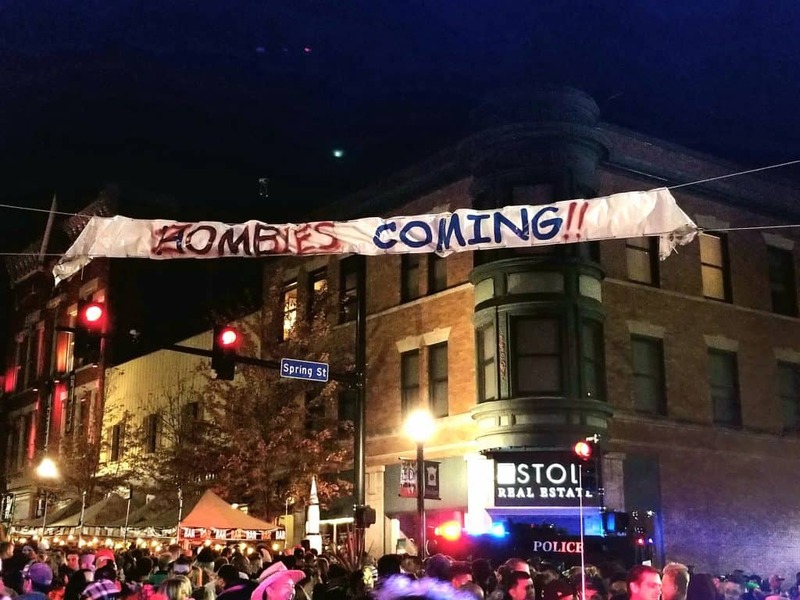 It is a post zombie apocalypse event which encompasses a several block radius in Elgin, Illinois where only the undead are allowed entry! Basically the area is set up as if the zombie apocalypse has happened with some KILLER special effects and props (seriously – mad kudos to those involved in creating set pieces because they are insane) A lot of people (not everyone) dress up in just about everything you can imagine (although zombies win my vote!). The entire experience is pretty awesome and makes for a fun night out! 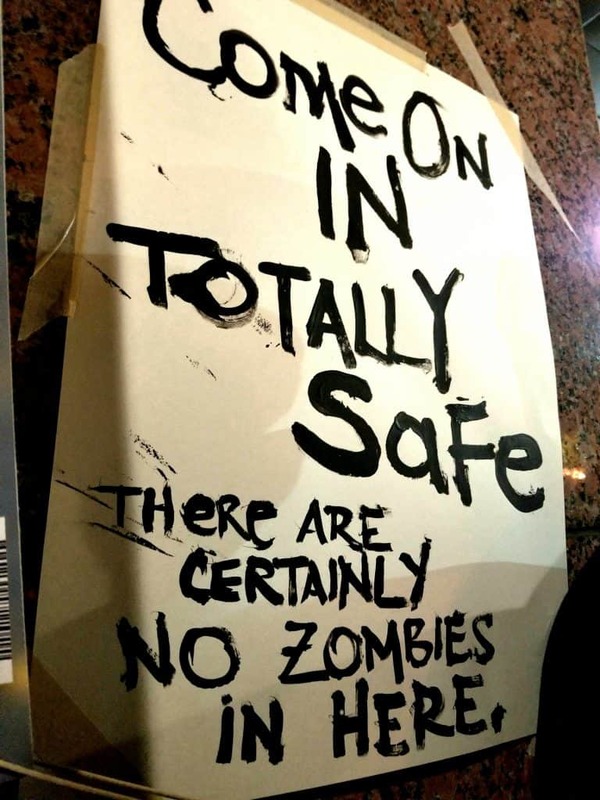 I LOVE Halloween (zombies are OK too!) but I am NOT into horror at all. So usually I stray away from truly spooky scary haunted houses in October and leave it to those who aren’t a chicken like me. Nightmare on Chicago Street, however, sounded really awesome and after scouring the internet (and not finding tons other than the website itself) I decided to give it a go with my 10 year old son! They have built an awesome story line and film series around this event which really wraps it all up into an experience. Be forewarned – although I’ll absolutely be bringing my kids again next year the festival is set up for ages 17+. I don’t recommend it for anyone under the 8-10ish range and definitely not for any child who tends to be spooked easily. There ARE some pretty grotesque things! 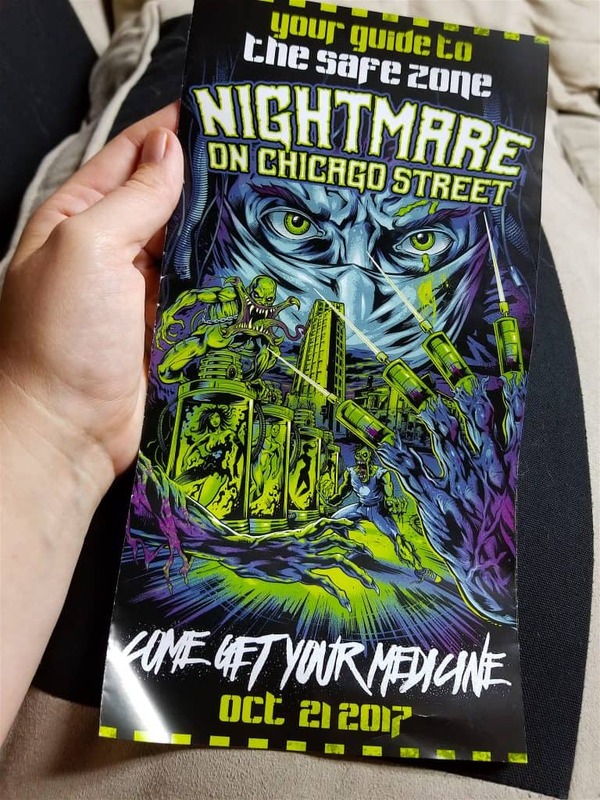 What Can You Do at Nightmare on Chicago Street? *Take Photos w/Props – There are insane props that make for some killer photo opps. *Take selfies w/others in costume – the costumes we saw were absolutely incredible. Everything from a dab of face paint to complete head to toe movie-like cosplay. It was pretty amazing. 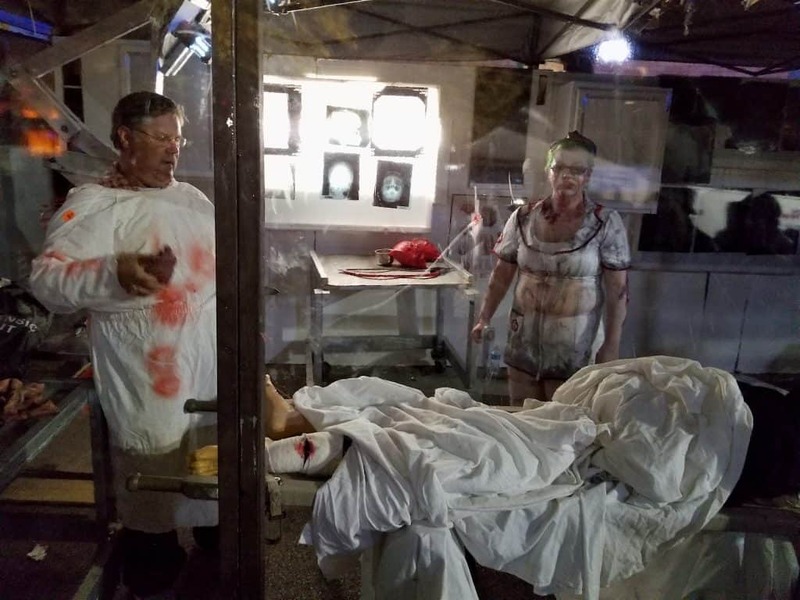 *Go through the haunted “house”– This is certainly the scariest part of the entire festival so if you shy away from zombies following you and getting up in your personal space in the dark a bit – this is not for you! It IS free and both my 10 year old and I went through it. I think we were both a little nervous but it was just edgy enough for us that we enjoyed it and really had to marvel at the extensive set up. It was a WELL done job! 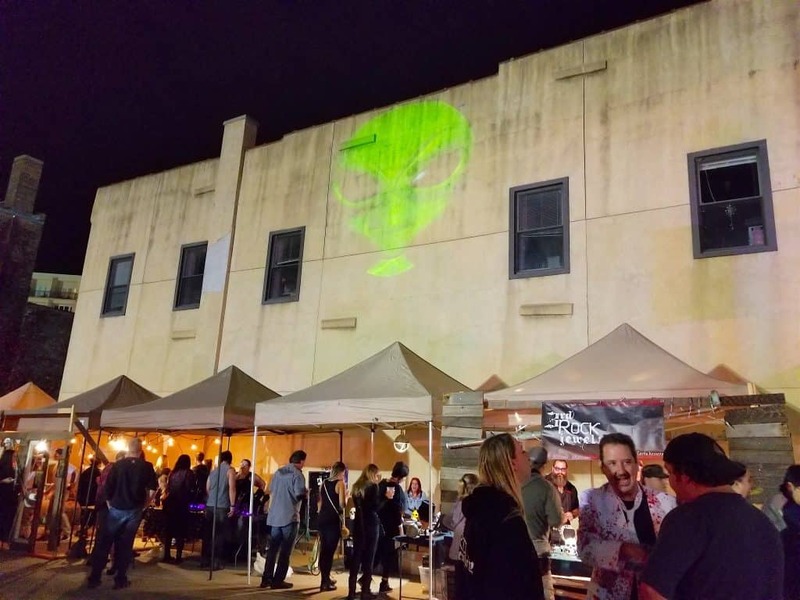 *Food vendors – lots of beer, lots of food, lots of fun! 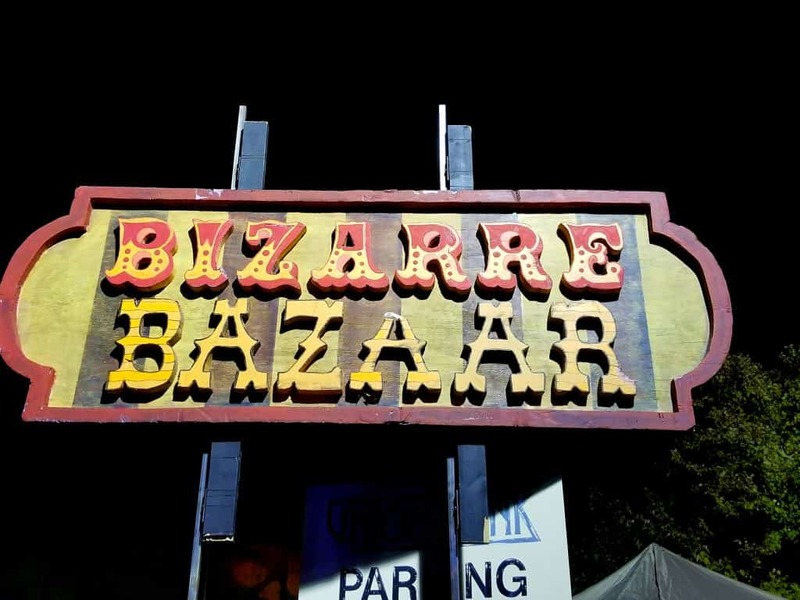 *Weird vendors – Visit the “Bizarre Bazaar” for some truly odd things to buy. 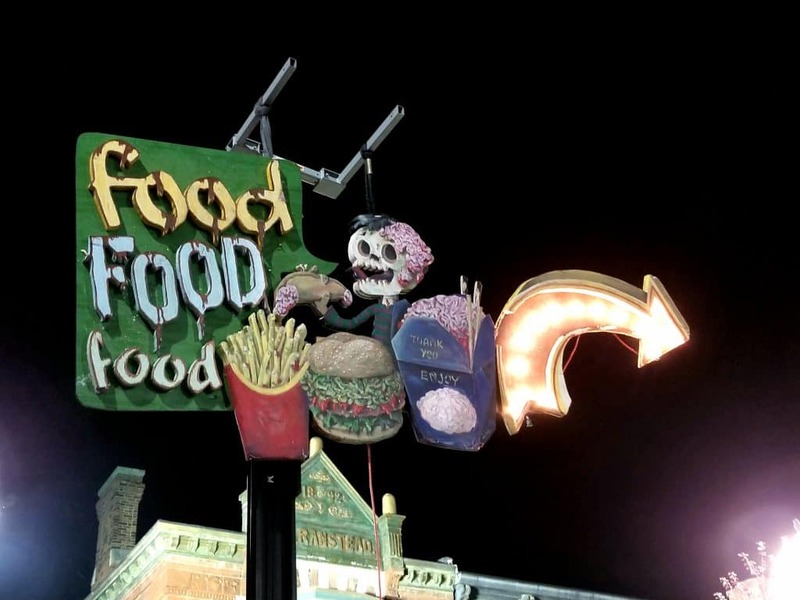 It was neat to walk through and if you like freakish weird stuff – this is the place for you! *Shop local businesses – There were a lot of local businesses open during the event (which must have been madness for them!) so it’s a great time to not only see what Elgin has to offer but support local companies. *Dance the night away! There were 3 stages set up with lights, fog, and AWESOME music! Plenty of people were dancing in the streets and congregated around the stages. *Meet & Greet with Svengooglie. We didn’t make it in to meet him but lines didn’t look bad at all! *Watch the Cirq d’ Freak Show. 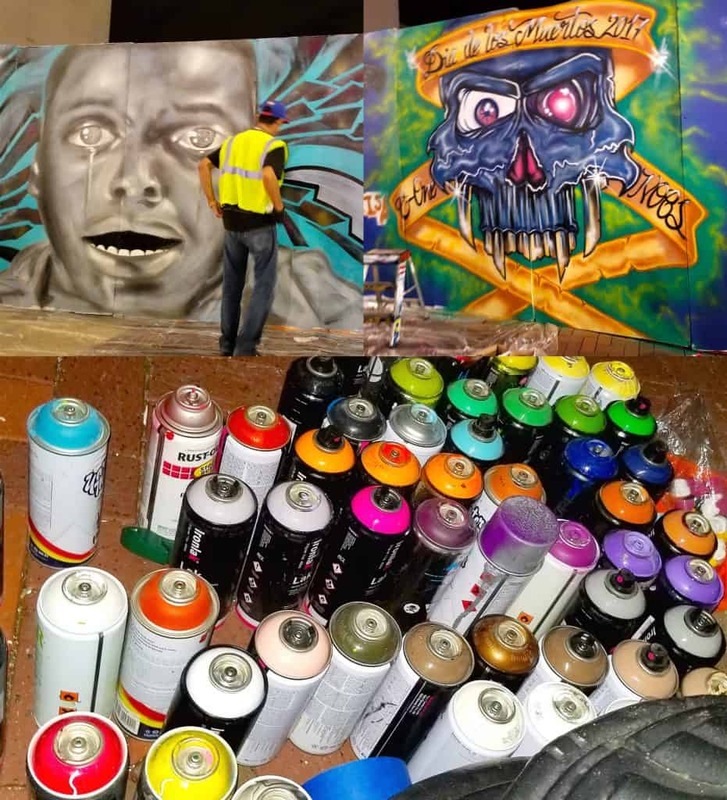 *Admire the Grafitti Artists! There were some ridiculously talented artists leaving their mark on an entire street long of a plywood wall open to the artists. It was really amazing! How SCARY is Nightmare on Chicago Street? 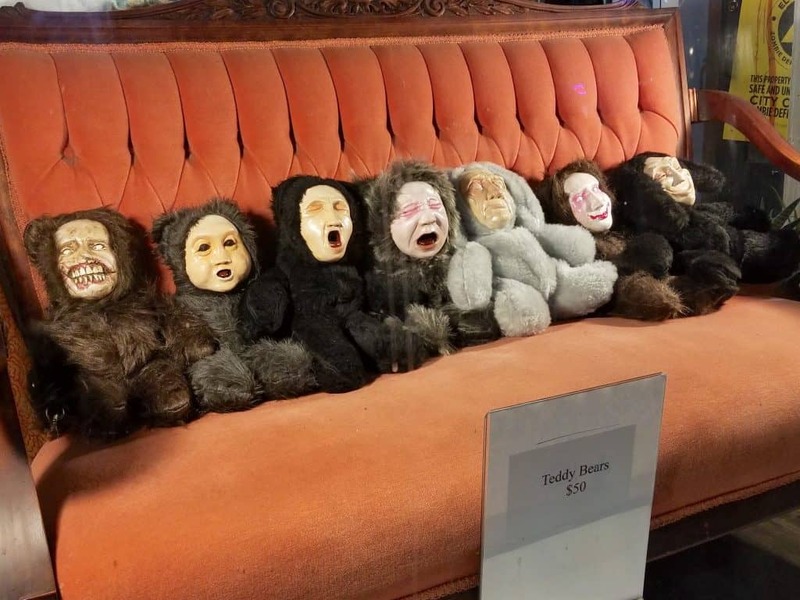 Is it Kid friendly? This event is absolutely geared for 17+ and they are very clear on that. However, they DO allow any age in with a guardian/parent. I decided for our first experience to take only my 10 year old son (my oldest child) since he is not spooked easily and has an interest in zombies & scarier things. And I already told you I’m a little skittish on truly scary things. In my experience nothing, and no one, chases you down the streets. There are no chainsaws coming to get you or anything like that. 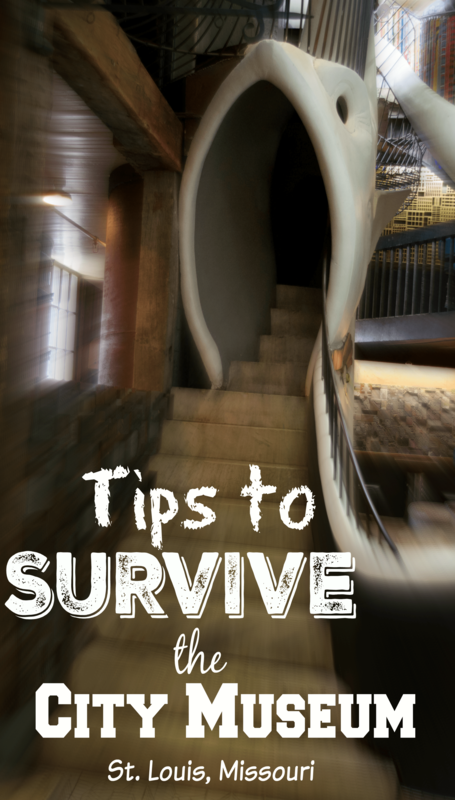 (unless you enter the haunted house which is clearly a gory horror fest) However that doesn’t mean someone attending the event might not try to spook you or pop out at you for a scare. We only had it happen once and it wasn’t a big deal. If you’re skittish about blood, guts and all around Halloween gore – I wouldn’t recommend it. Again this is an event more for adults. With that all being said my 10 year old and I loved it and we’ll be going back as a family with both my boys next year (and getting a sitter for my toddler!). With the exception of the haunted house we didn’t find anything scary at all. You can look on social media for #ElginNOCS to see pics from the event which can help you see even more! Also check their Facebook and Twitter account too. *CHECK THE WEBSITE! I felt like, although there was a lot of buzz on social media about the event, I was still a little lost as a first timer to the event and found a lot of information on their website helpful! It may sound obvious but most people I talked to didn’t know about the shuttle. I found FREE BUS SHUTTLE information (which was a LIFESAVER! ), METRA details, printable MAPS, hotel promo deals, and MORE! *Go in Costume – or Don’t! But NO weapons allowed – even pretend cosplay weapons! I was happy and comfortable with the amount of police force in attendance – you couldn’t pass a street corner without seeing someone there to help and direct. *The ENTIRE area is 100% IN! The setup was AWESOME – I literally felt like I was on a movie set. 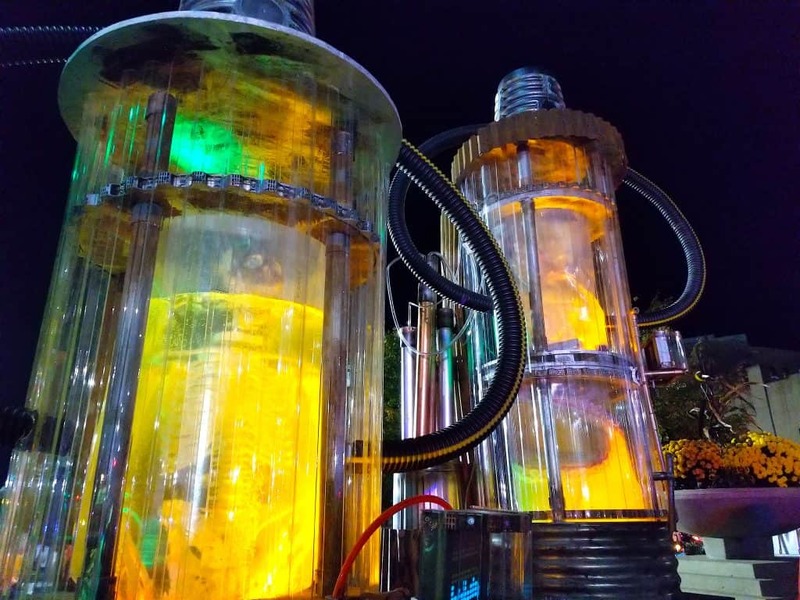 Every business is decorated, there’s fake sticky blood everywhere, the props and experiences are insane – this is really an amazing experience! *Lines are LONG! If you read anything online about the event chances are you’ll see a lot of complaints about lines! For me, I knew thousands of people attend this event so I was expecting it to be packed, and it was. When we first arrived we joined a large sea of people in some sort of a line. No one really seemed to know what line we were in but it was moving towards the event so I stayed put. It only took me about 20 minutes or so to move almost 2 blocks through line so I can’t complain. 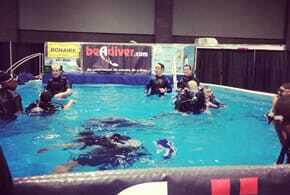 Some reviewers stated they were there for hours but I’m not sure how that’s even possible! We figured it out easily and entered the event without issue. I DO recommend pre-buying tickets though! Food lines were surprisingly not bad at all although I avoided the bathroom lines at all costs! *Crowds increase as the night goes on! If you want to beat the swell of the crowd start early. We were 2 hours late and I noticed by the time we left we could barely move around because there were so many people. It was fine because there were only 2 of us but I can imagine when the 4 of us go next year we’ll need a good buddy system. *Give kids an emergency plan. After arriving I quickly realized that the event was a BUSY place and if my son and I got separated I wouldn’t be able to find him again. The entire event is fenced in though so there’s no “accidentally” leaving the festival. I wrote my phone number on his hand and brochure with instructions that if he was separated from me to immediately find a police office on any corner and show them my phone number and say he was lost. The great thing about moving to a new area is that you can to have new adventures while exploring local areas! 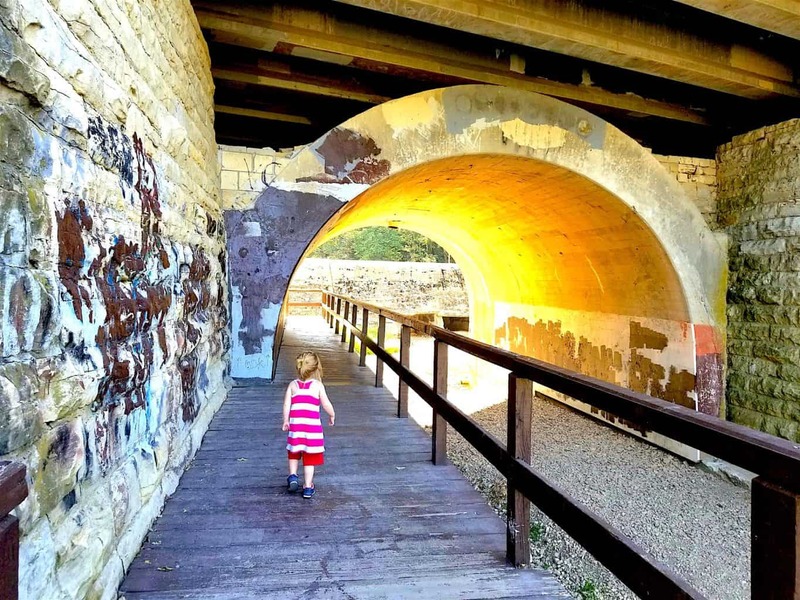 A few months ago we moved to Illinois so I decided to take my toddler out one day and go exploring. I’d actually had the old Joliet Iron Works District on my “explore list” for a while now so I decided to head down that way and check out the area. Funny thing is that I never actually made it to the historic Iron Works area – when you’re taking a toddler you’ve got to go on their schedule! I absolutely want to go back though because there is SO much to see and do! I love exploring old ruins and this one is open to the public. There’s just something hauntingly serene about it, and this location is packed with history. The Iron Works district is an old iron manufacturing facility from the late 1800s to the early 1900s. It was once the second largest steel mill in the United States. You can walk through foundations of the blast furnaces and other structures from the dismantled factory. You can also loop into the I&M Canal Trail here too. There are interpretive signs that explain the process of making iron and steel and the specific skills of the workers. Before heading down there I actually purchased a family pass at the Joliet Area Historical Museum on Groupon. I had read there was a lot of Rt. 66 exhibits at the museum and since I got married on Rt. 66 anything to do with that is always on my list! In fact in a year or so we’re driving the whole route! I really should have worn the Route 66 Shoes that I made!! I have learned from past experience that historical museums are actually REALLY amazing! I always thought they’d be a bit of bore but every single one I’ve been to has incredibly top notch exhibits and fantastic displays. Even my kids know this now and love going! 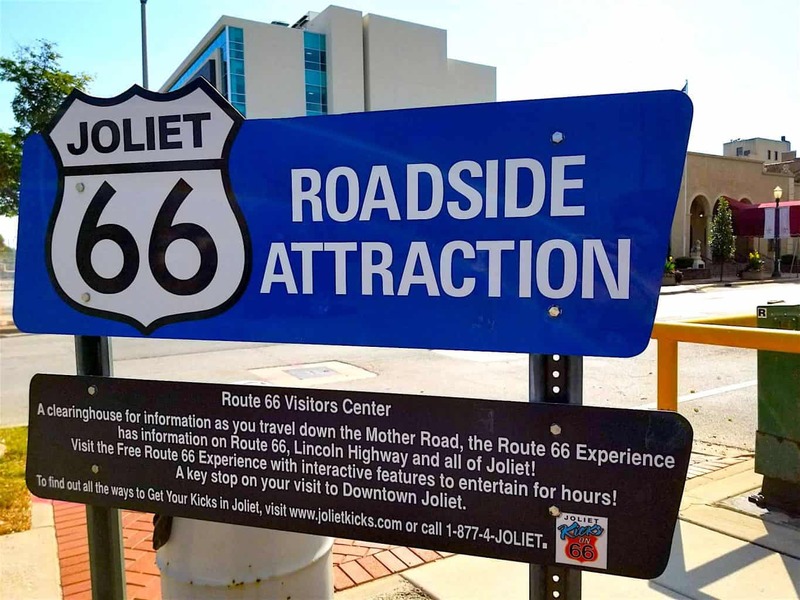 The Joliet Area Historical Museum, although smaller, is definitely worth a trip! You can climb on an old trolley car, walk in the bottom of a canal replica, and kick back and sit in old vintage car seats! They even had an entire room for kids to color, do puzzles, and make crafts! They do have free days that you can check out here. After the museum we stopped in at the Route 66 Diner just down the road on Clinton Street. 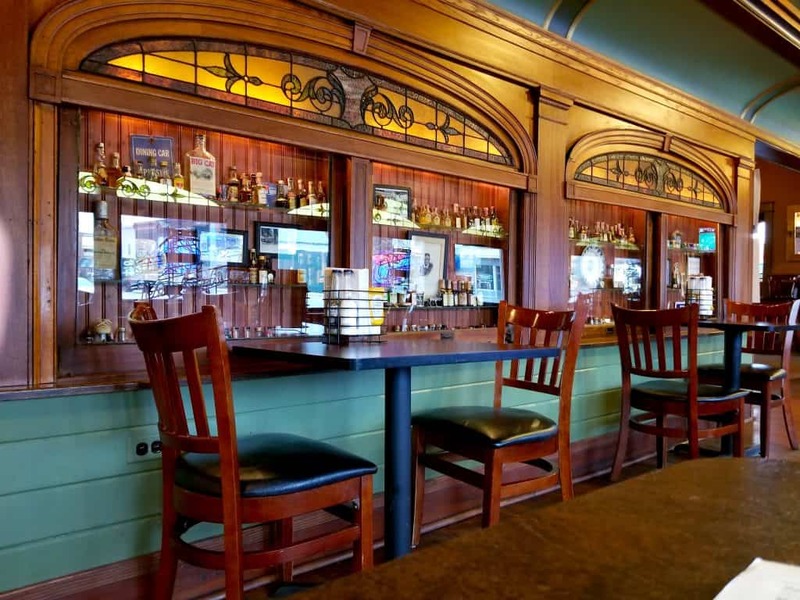 Walking in is like a blast from the past – everything is wood paneled! But the food was decent enough and the employees were extremely nice. 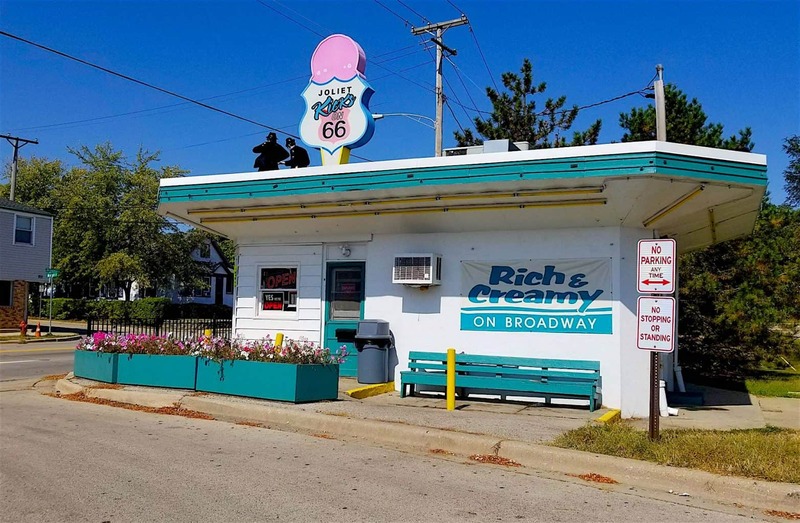 There’s nothing better on Route 66 in Joliet than stopping in at the Rich & Creamy on Broadway – a historic ice cream shop with all sorts of goodies! 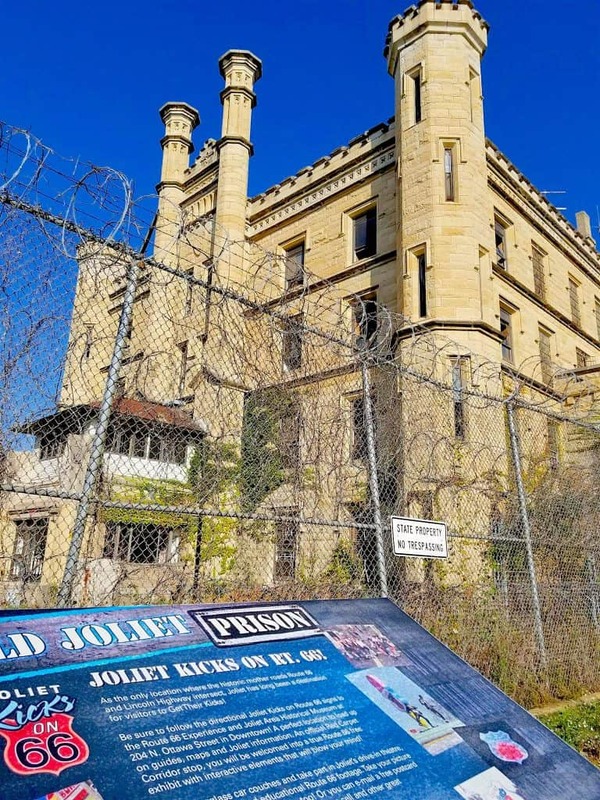 We then headed over to the old Joliet Prison which isn’t open to the public for inside tours but they welcome anyone to come explore outside the gates. 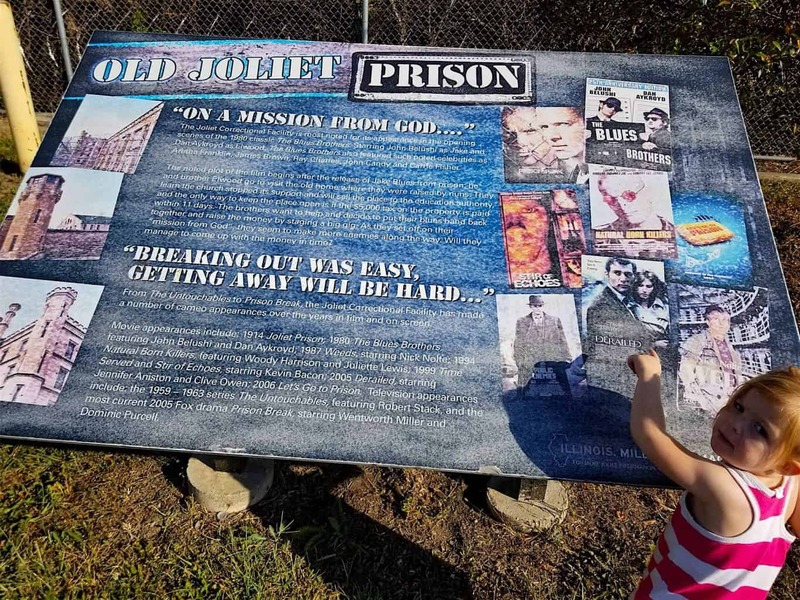 They’ve got 8 interpretive signs up that are pretty informational and we spent a few minutes walking around the prison admiring the structure and wishing we could go inside! 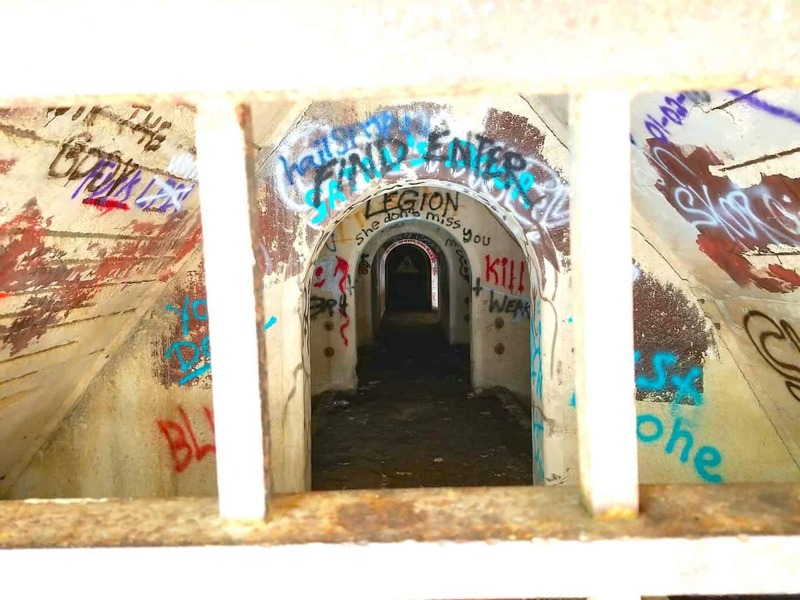 It’s actually been used in a lot of movies & TV films such as “The Blues Brothers”, “Public Enemies”, and more recently “Prison Break”. There has been talk in the past of opening it up for tours so I hope it happens! 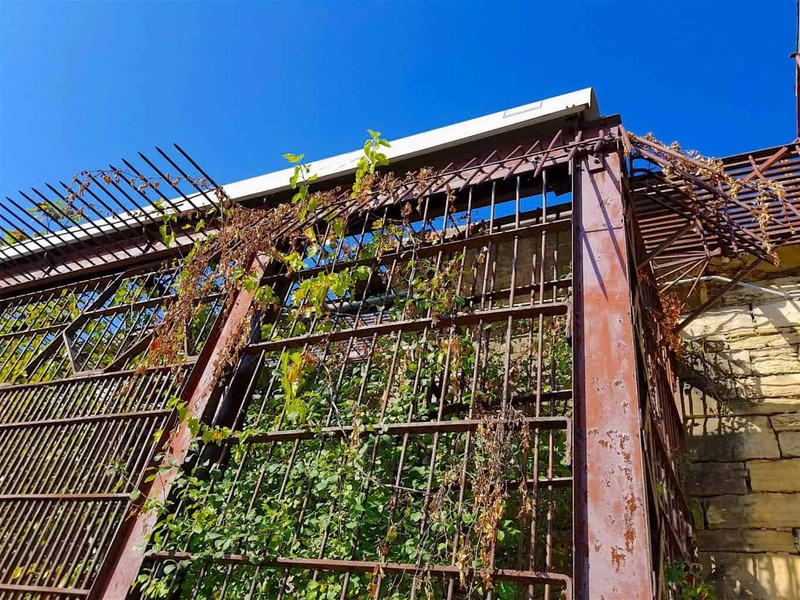 You can see broken windows, rusted gates, barbed wire hedges, and extremely thin windows and doors to prevent prisoners from squeezing out. 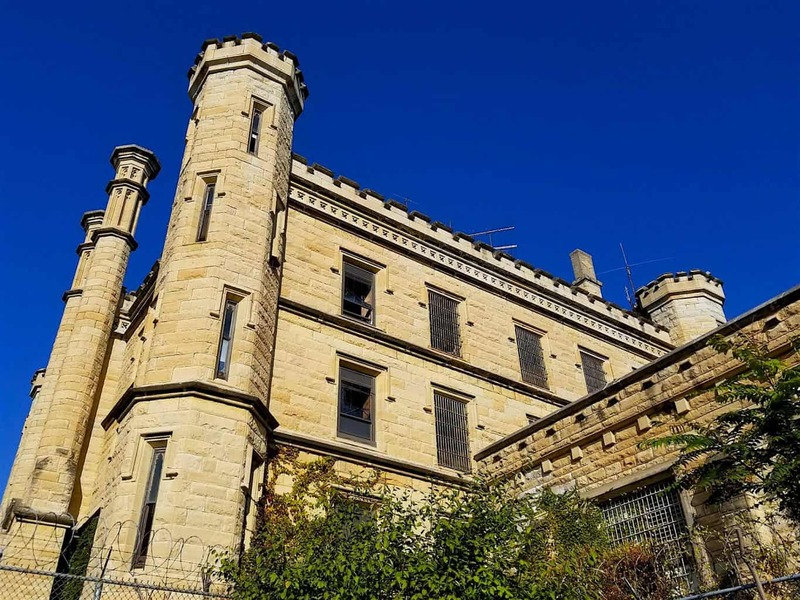 I can only imagine how incredible the inside looks and the stories that can be told about this prison. On the way out of the prison, just down the road, I drove past Dellwood Park, actually located in Lockport. After a quick Google search I discovered it had some pretty awesome “hidden” ruins to climb through so I decided to stop in. I didn’t get to spend much time there because my toddler was pretty tired but I HAVE to go back!! What I saw was awesome! Believe it or not the Chicago & Joliet Electric Railway Company began to build Dellwood Park in 1905 to increase the number of railway riders. This use to be THE PLACE to be back in the day and was quite an attraction. Now you can take the trails and meander on and past a creek and ruins of an old dam, bridge, and other structures in the park. If you’re walking around on or near structures just watch you’re footing as there are some high areas and holes! It’s not bad – I had my toddler there. Just be mindful. 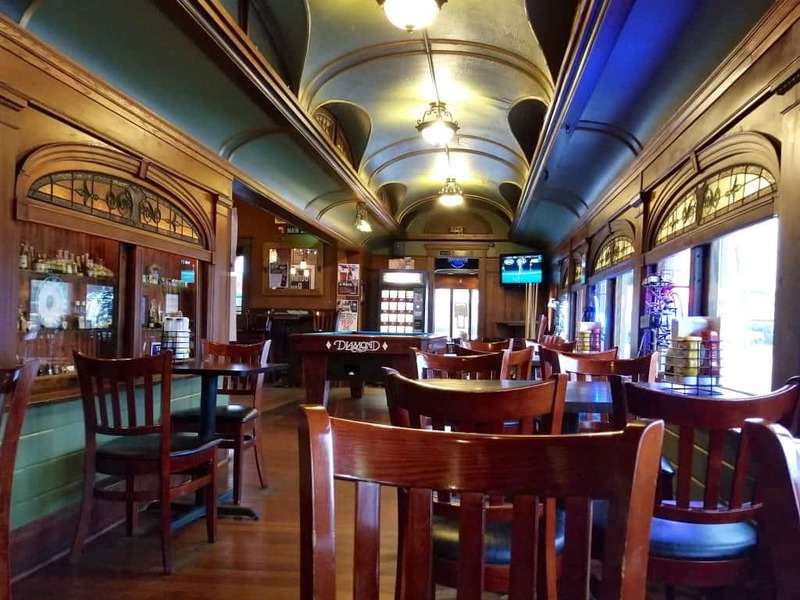 Also within driving distance you can eat lunch in Teddy Roosevelt’s rail car Bull Moose or touch the wardrobe that inspired the Chronicles of Narnia or J.R.R. Tolkien’s The Hobbit here! Do you have any awesome Joliet area hotspots for me to visit?! 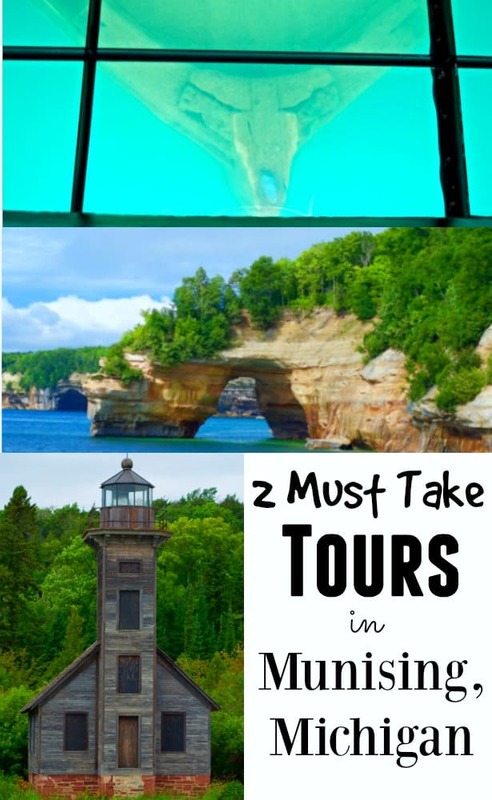 Leave a comment below and give us some tips on where to explore!